ESCKAZ motto is "Delivering Eurovision News First". As usual our team is officially accredited and will be providing to you Euroweek news from the beginning till the end in complete details. 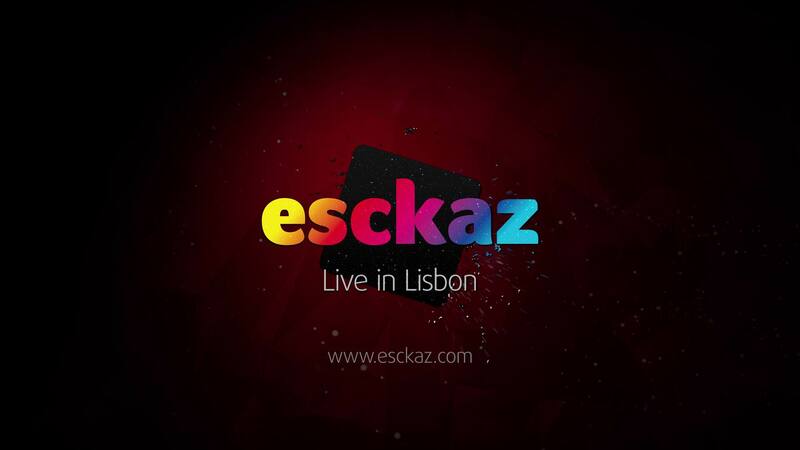 Daily, from April 27 till May 13 on ESCKAZ.com LISBON BLOG you'll be able to find the latest information directly from Eurovision 2018 capital: reports on rehearsals, press-conferences of participants, fan and other events. We will also try to report on events happening outside the press-center, Euroclub and Arena in the city. Full schedule of rehearsals, press-conferences and other events is available at ESCKAZ Eurovision 2018 guide. This page will not be updated during Euroweek period, so please, bookmark our blog. 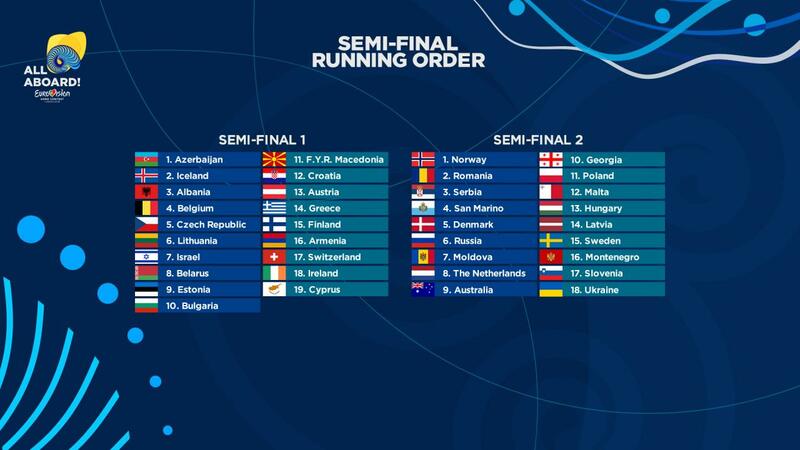 Betters believe that Israel, Bulgaria, Czech Republic, France and Australia will compete for the places on the top with Israel being current run-away favourite to win the show in Lisbon. Israel is winning with a large margin OGAE voting, followed by France, Finland, Australia and Czech Republic. 14 countries still sit with 0 points. Final results of the vote are expected on April 29. Israel topped most online polls as well, notably ESCStats (where it won over Greece, France, Cyprus and Belgium) and ESCNation poll over France, Bulgaria, Belgium and Estonia. On own ESCKAZ poll it won over Finland, France, Belgium and Czech Republic. Unfortunately, due to the time constraints we were unable to prepare text review of participating entries, but ESCKAZ team will record several podcasts in Lisbon informing our viewers on our team favourites. You have a chance to predict which 10 countries will qualify form SEMI FINALS to the final in Lisbon - you have until Saturday 5 May to vote. The person who gets the most correct will win a prize from our colleagues at ESC COVERS. If say more than one have the most correct, we will do a draw. Cheapest of the last 10 editions - at the same time packed with technology. Deputy Executive Producer of the Eurovision 2018 Paulo Resende revealed some details to Dinheiro Vivo. "There's nothing comparable to the organization of the Eurovision - it will be the biggest television show ever produced in Portugal", says Resende. The numbers say for themselves 250 lorries carrying top-of-the-range material, more than 250 technicians for the three television broadcasts, 200 km of cables around the pavilion and the 'web' in the roof that had to rise from 20 to 25 meters high for the first time to accommodate 220 tons of equipment. The May 12 broadcast is expected to reach "more than 200 million people around the world" and this year will be broadcast in the United States and China. "We have request from the Chinese television for the commentators booth so they will be running commentary live from the Arena", says Resende. He ensures that this festival already beats the American Superbowl and, in audience, is just behind the Champions League final. The forecasts estimate that about 50,000 people will arrive in Lisbon and there have been 1,521 press accreditation issued. Paulo Resende, who was responsible for several RTP shows, including the last editions of the Festival da Canção, had never seen a TV show of this dimension that will be the biggest challenge of his long career. "Everything in here is in astronomical quantities and then we have the best technology to offer and we will even try some innovations that are not even for sale yet," explains the Portuguese producer. Behind the stage, contrary to what has been customary before, there will no longer be a giant screen but a "huge wall" with modern panels called Magic Panels. "There are 350 squares of lighting that create different textures for each song, thanks to thousands of LEDs programmed to act in different ways," says Paulo Resende who admits that he internally calls it the Wall of Death, by its size. Scattered throughout the pavilion there will also be more than 2300 robot lights - lights that move synchronously, create peculiar shapes. "They will be involved in each performance and will give the show a surprising dimension and spectacularity," explains the Executive producer. And how do they work? "They are operated remotely and have already been preprogrammed. We did this work at the Pavilhão de Portugal, with 14 light tables, all interconnected, to program the lighting of all the songs ". Paulo Resende also highlights automatic light bulbs. "There are 17 that we will have, operated with remote control and this will remove from the organization a security problem, because before it was done with people hanging in the suspended web of the ceiling". The show is recorded in HD and the audio will be in 5.1. "We are also testing for the future solutions of Immersive Audio, which is yet another layer that exists to give a superior surround sound, but that will not yet be possible to diffuse it into people's homes," he explains. There is also an auto-editing software called Cue Pilot that functions as the airplane's autopilot, which allows you to program a real-time automatic editing of the show. "It is very detailed to the point where operators are given an indication of the system over the time that will take the plan they are filming," says Paulo Resende. And how much does it cost? Less than the previous ones. The costs "are huge" because the event "is much more than the three television broadcasts," to the point that Altice Arena is small for the event. Hence the Pavilion of Portugal will be used for the Media Village and you need several support structures outside the Altice Arena. "Our commitment is to make the Euro Festival cheaper the last 10 years." Paulo Resende wants the highest possible efficiency, although he can not mention exact values. 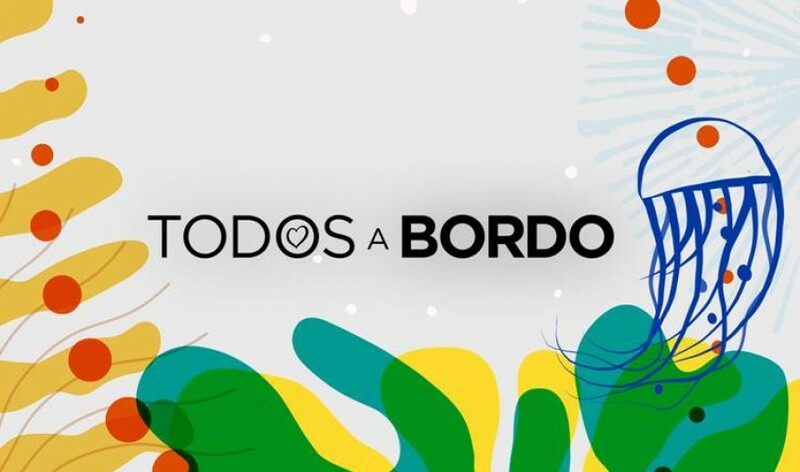 From April 23 to May 12 all the viewers of RTP1 will be able to follow the Eurovision Song Contest news through the series of programs Todos a Bordo - All Aboard. "All Aboard - Diary": April 23 to May 11 at 9:00 p.m.
Every day, after the evening news Telejornal, Hélder Reis, Tiago Góes Ferreira and Joana Martins will show all the preparations for the Eurovision Song Contest 2018, the teams, the musicians, the delegations and all the details from the arena and backstage of the event. Weekly you can review the best moments in a compact program that brings together the highlights of the week. Opening Ceremony "Blue Carpet": May 6, from 3:30 p.m. to 8:00 p.m. The competitors and delegations from the 43 countries of the contest will be parading on the blue carpet on May 6 at an event taking place at MAAT. Jorge Gabriel and Tânia Ribas de Oliveira will broadcast from the studio of Eurovision Village, in Terreiro do Paço, where they will receive several commentators and guests. Catarina Camacho, in direct from the MAAT, will reveal the environment around this ceremony. "A Praça & Agora Nós": May 7-11, 10:00 a.m. to 2:00 a.m. and 3:00 a.m. to 5:30 a.m.
Live from Eurovision Village Sónia Araújo, Jorge Gabriel, Tânia Ribas de Oliveira and Herman José will be telling about the complex mission and reveal many other surprises about the shows. The reporters from the other venues will be Vanessa Oliveira, Joana Teles and Rita Belinha. Vanessa Oliveira also brings us the "Latest of Eurovision" with several reports until May 3. The day we get to know the great winner of 2018, will be accompanied by a special broadcast, between 10:00 a.m. and 7.00 p.m., where one will be able to watch the preparations for this great party and also review all the best moments of the last days. The surprises are guaranteed in the company of several guests. RTP information bulletins also leave the studio and joins this great event. The Jornal da Tarde and Telejornal will be broadcast live from the show grounds, the Parque das Nações. At night, after the broadcast of the Grand Final on RTP1, know everything you did not see in the "Backstage of the Final". A program that will show everything that happened behind the cameras, a broadcast with different guests and a lot of humor to the mix. 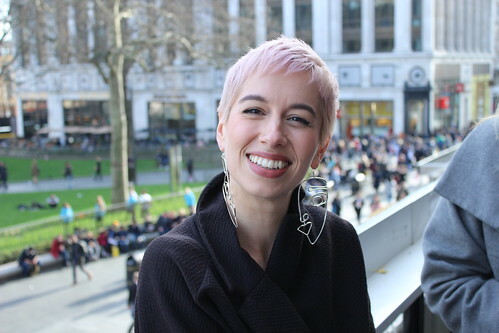 "5 para a Meia-Noite : Backstage": May 8 and 10 at 10:30 p.m.
On the days of the semifinals, Inês Lopes Gonçalves will go live from Terreiro do Paço with two special broadcast of "5 para a Meia-Noite". Watch the first emotions of the finalist countries of the Eurovision Song Contest 2018, in the company of the presenter. Throughout this week, RTP1 broadcasts several Eurovision Village concerts, notably the tributes to Simone de Oliveira, Nuno Feist, and the Doce by Moullinex, and the Waldemar Bastos and Capicua concerts. Cláudia Pascoal and Isaura talked to ESCKAZ ahead of Eurovision in Lisbon. They are both very happy to represent their country with Claudia saying: "I feel very happy and enthusiastic about this opportunity and phase in my life" and Isaura adding that she is "truly proud to participate in this huge music celebration". At the Eurovision they will perform "O Jardim" which is about missing someone who is no longer in this world. It was written by Isaura for her grandmother who passed away one year ago. "For me music is very therapeutic and writing the song was a healing process. I hope people can also heal themselves and be together with the ones they've lost even if just 3 minutes", the composer says. The singers state that their goal is to give a beautiful performance they can be proud of, and the most difficult in the process is to stay away from the family and friends. "All the rest is adrenaline and good challenges". Singers mention that they have already heard entries of other Eurovision countries. Claudia says: "Eurovision brings several musical styles, and it is with this concept that I am in love", and Isaura mentions her personal favourite being Czech Republic. As earlier revealed, Portuguese postcard has been filmed on Navio-Escola Sagres - a ship where the Navy is trained being one of the most important symbols of Portugal. Currently artists are working on the music video for their entry. The only promotional appearance abroad the singers will be taking is their performance at Madrid event this weekend. 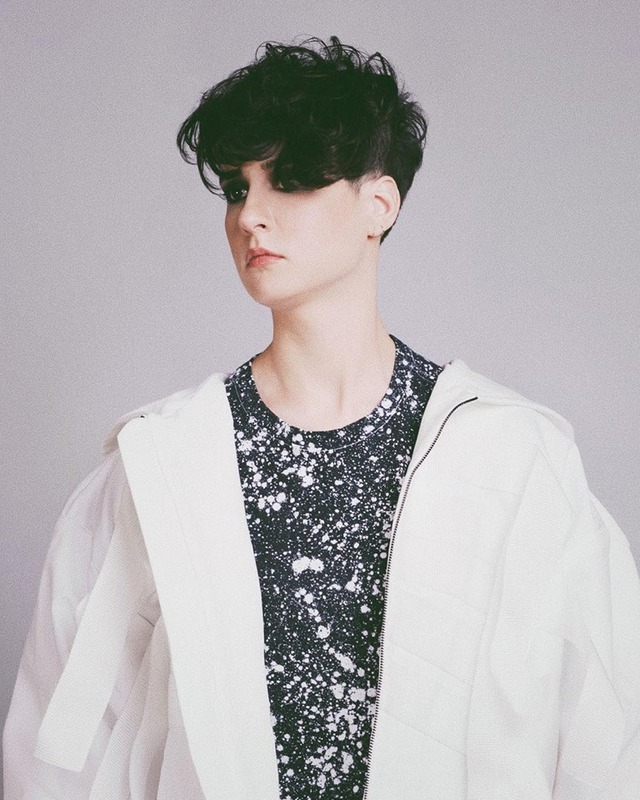 Both Cláudia and Isaura say they are working on new songs - Claudia's new single is coming out soon, and Isaura's debut album 'Human' will be released on 8th June. "It's an album divided in two parts; the first about managing time and expectations and the other about missing my grandmother. I had an idea of making an upt and happy album and when I wasn't expecting my grandmother passed away. Since music is like a diary to me I couldn't ignore what I was feeling and started a part B about that new reality. It's called "Human" because of this, because you need to do the best you can with what happens to you", she explains. "We want to thank all for the love and positive energies that you have given to us!! See you in May! Kisseesss"
You can read full version of the interview on our Facebook page. The island of Madeira was chosen as the venue for the recordings of the postcards of Michael Schulte, Germany's representative at the Eurovision Song Contest 2018, and the duo Jessika Muscat and Jenifer Brening , who represent San Marino. Ryan O'Shaughnessy, who competes for Ireland, has shot his postcard on the island of Porto Santo, also in the Madeira archipelago. In the recordings of his postcard, Michael Schulte went through several emblematic areas of the island such as Levada das 25 Fontes, Seixal beach and Achada de Santo Antão where the artist recorded some of the moments that we can see in his video. During his experience on the island, the singer also had the opportunity to do paragliding. The duo Jessika Muscat and Jenifer Brening also filmed their postcard on the island which is known as the Pearl of the Atlantic. The setting for their presentation video was the city of Funchal and the two artists had the chance to try riding Carros de Cesto do Monte, one of the attractions of the island. The Island of Porto Santo also received a competitor from the Eurovision Song Contest 2018, the Irishman Ryan O'Shaughnessy. In addition to recording on the island's beaches, characterized by its fine sand and calm waters, the artist also had the opportunity to dive into the Atlantic Ocean. 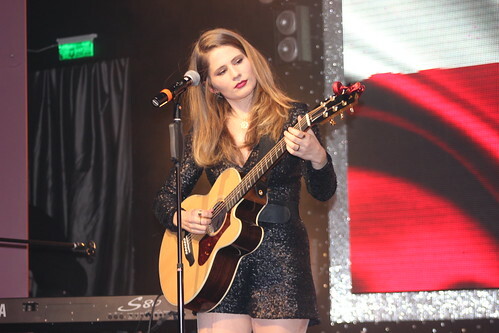 On her birthday, which occasionally is the day of the first live performance with the contest entry "I Won't Break" at the Moscow Eurovision pre-party, the representative of Russia at the contest Julia Samoylova talked to ESCKAZ.com. "I'm very worried for the stage presentation, for the performance", shares Julia, confidently adding that all her time she is now devoting to the preparations: "And everything that depends on me, I will do". 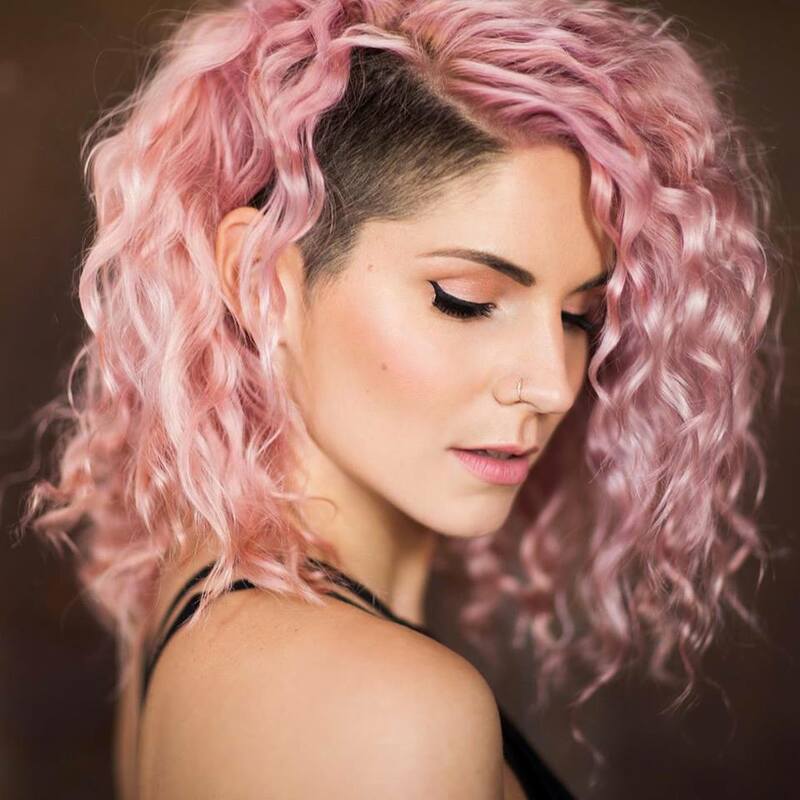 The singer can characterize her song "I Won't Break" as a "strong song with a core", and her message is "go wherever your heart calls, no matter what" .Julia says that the same songwriters worked on her last year's "Flame Is Burning" - Leonid Gutkin, Netta Nimrodi and Ari Burshtein. "It's an international team, it already has a serious Eurovision experience. The song was offered to me and I immediately fell in love with it.. On the question of whether the song will receive a Russian version - Julia resolutely answers negatively: "The song was originally written in English and translating it into Russian is not planned". Julia herself also submitted two self-written songs for the consideration of the broadcaster, and, despite the fact that they will not sound at the contest, they will still have a wonderful fate - being released on the debut album of the singer which is planned for late May or early June this year. Julia does not want to tell anything about her Eurovision stage presentation yet, except the fact that it will be "technically complex" performance. Her own goal at the contest is "to please everyone with my singing, to enjoy the performance myself and to give joy to the people". The most difficult thing for her in preparations: "To cope with the excitement, because not everything depends on me, but I still want everything to be perfect". The representative of Russia has already listened to many songs representing other countries at the contest. "I really liked Belgium - the extraordinary beauty of the video and the unusual song. I also like the big favorite - a participant from Israel, Netta, she is very positive". Julia is not a beginner in contests and festivals herself. "I like the excitement that surrounds an important test, I like the state when you concentrate on the task put before you and give it all completely to get its solution, even more than 100%. ​​Competitions are necessary and important for any person", the singer tells. The singer has just returned from Portugal, where her postcard was shot. "The trip was so wonderful, this place is really magical, the people are wonderful. The ocean, which I had never seen before, is just something! The postcard was shot in the Lisbon Oceanarium, it seems to me it will look very beautiful, "she says. "Friends, I wish you all the successes and bright self-realization! Dream and your dream will come true - I just know it!" ESCKAZ wishes Julia Happy Birthday and the best of luck in the Eurovision preparations! ESCKAZ has attended London Eurovision event. Read more on Promotours page. 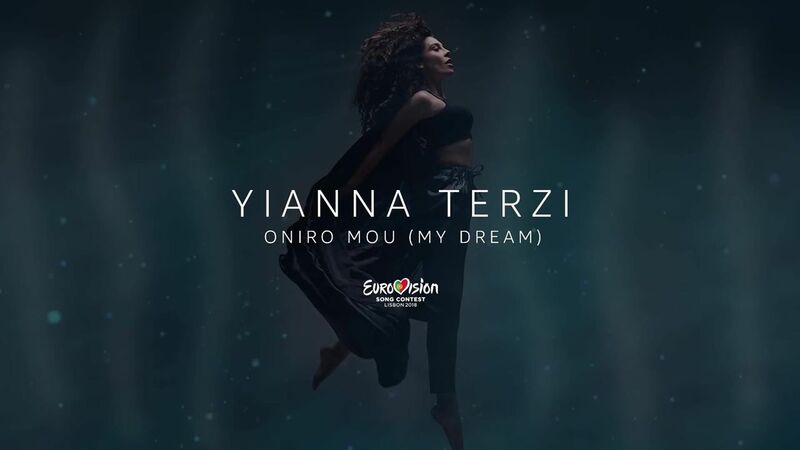 It's a very proud Yianna Terzi who will be flying the flag for Greece this year at Eurovision with the mesmerising Oniro Mou. As she continues her preparations for Lisbon, Yianna took a quick break to discuss her entry and the inspiration behind it with ESCKAZ. The way Yianna Terzi is feeling in the run-up to Eurovision in May can be easily summed up with two words – proud and excited. Faced with the now very real prospect of representing Greece in Lisbon, she beams. "I feel so proud. Seeing my name and my face next to the flag is a big deal to me. I don't think it's completely sunk in yet – maybe it will when I get to Lisbon." When it does dawn on her, Yianna's pride will be mirrored by her mother's. "It is the biggest stage I have ever been on. I am sure it will be overwhelming and really exciting! My mom told me "remember when you were in America, knocking on doors to get into the music industry you called me and asked – when will I perform on a huge stage like all superstars do here? – well you have it now." My mom is right! It's here!" The story behind the song being chosen, shows Yianna's willingness and desire to perform at Eurovision is just as strong as those who have gone before her. "We were writing songs in English for the most part, to offer them to other artists or just for me, as well as songs for Eurovision. But then we heard that this year we would be sending a song in Greek, so we had to sit down and start from scratch. Oniro Mou started taking shape and we instantly realised that this song is special and we should go for it." And go for it they did. The song was internally selected as the entry for Lisbon and its meaning is also rather patriotic and poignant. "It's an imaginary dialogue between Greece and Greeks, an honest moment between a country and its citizens, very emotional," explains Yianna. The atmospheric, artistically-shot video is closely entwined with the sentiment of the story that the song tells. "In the video, I play Greece and the actor represents the Greek people. It was shot about one and a half hours from Athens, up on a mountain," she continues. "He [the actor] is wondering around a desolate, abandoned mountain, poor and torn, looking to find his roots again (me), where he came from, to find his strength, to remember who he is. He senses me under his feet and starts digging. I am waiting for him to find me, to bring me back into the light again, so that we can reunite and get on the same path. Its metaphorical of course, it shows how Greece and Greeks don't always act as one, but when times are hard, we protect and support one another." 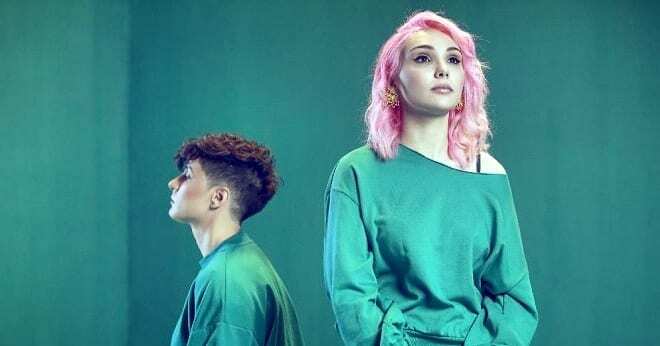 As for how the visuals in the video and the song will be transformed when performed on the Eurovision stage, Yianna is tight-lipped, giving nothing away. "You'll see!" she laughs playfully. She is, however, keen to share with us what she's looking forward to as part of the Eurovision experience that lies ahead. "[I aim] to enjoy it to the fullest. Meeting people with the same hunger and vision. Singing a song that I wrote with my friends in front of millions – one of the best songs I've ever written," she lists, enthusiastically. As for Lisbon itself; "I love the [Portuguese] language – especially in songs. It's so beautiful. I hope to meet artists from there and maybe work on music later!" As the topic shifts to working on music in the future and the prospect of a follow-up to her last album, 2008's Ase me na taxidepso, being in the offing shortly, Yianna is candid about this not being on the horizon just yet. "I am not there musically. I won't do any typical Greek folk music stuff. I am writing now, I wanna stick to what I started with Oniro Mou. We'll see how it comes out." If her Eurovision entry is anything to go by – pretty well! Also, given the fact the singer reveals her main musical influences and favourite artists to be Whitney Houston, Mariah Carey, Michael Jackson and the 1988-winner-turned-international-superstar Celine Dion, she may be one to watch after Eurovision. "I was obsessed with them when I was little. They have formed me into the artist I am today. And by that I don't mean I sing like them. I mean I am inspired in every aspect by legends. Michael is my number one – I know it's cliché, but it's the truth." 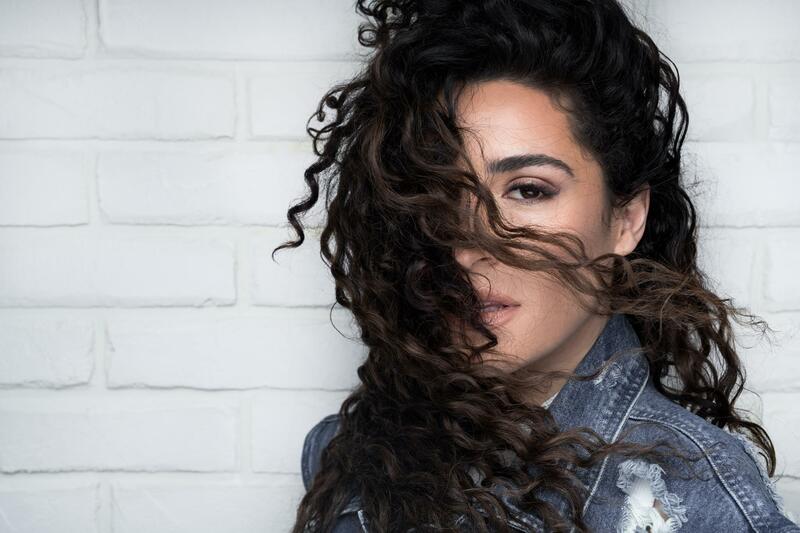 Unfortunately, for Eurovision fans, Yianna won't be part of the ever-growing pre-Eurovision promo-party schedule that now straddles Europe annually – but only so she can focus on how it comes across on the big night. "I don't think I will do the touring promo thing. The song is very special to me and I want to present it in the right way. I was invited to a lot of parties though and I truly thank all of the people who were kind enough to think of me." Despite her absence from the fan-event calendar, Yianna's last message to esckaz.com's followers and Eurovision fans is one of overwhelming gratitude and appreciation. "I can't stress enough how important your support is to us. Eurovision is madness lol and we need all the support in the world. I respect Eurovision fans, they are devoted, man! Thank you so much for everything you do every year, you are in my heart forever." We are sure it'll be worth the wait come May and it may be that Yianna's performance keeps its place in Eurovision fans' hearts as well. You can read full interview on our Facebook page. The running order for the two shows was decided by the producers at Host Broadcaster RTP. The proposed order in which the acts will perform was approved by EBU Executive Supervisor Jon Ola Sand and the Chairman of the Reference Group, Dr. Frank Dieter Freiling. 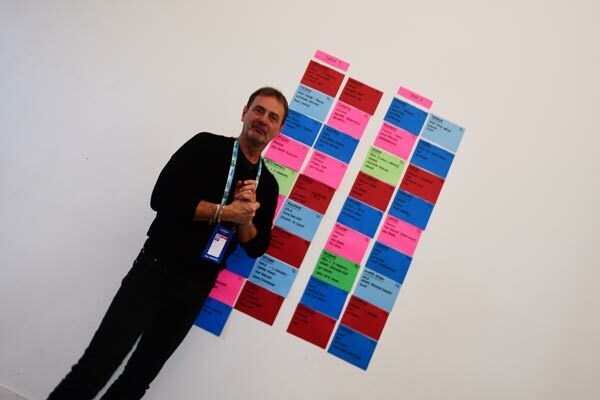 Since 2013 the producers decide upon the running order of the shows in order to create a more exciting television show and ensure that each song stands out. Slovenia's Eurovision hopes this year rest on the shoulders of Lea Sirk and her immensely likeable, stop-start-bop Hvala, Ne! Lea had a quick chat with ESCKAZ and discussed her entry, as well as everything she'll be up to in the run-up to the Contest in Lisbon and beyond. "I really didn't expect to win," admits Lea, still glowing from her song's triumph at EMA, the Slovenian national selection, at the end of February. "That was my fourth time doing it, so it was a lovely surprise. Hvala, Ne! 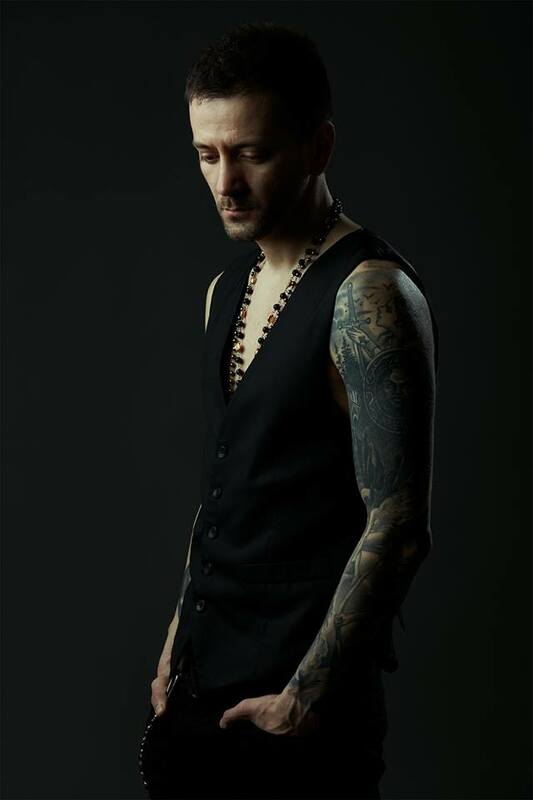 was actually recorded for my forthcoming album and was submitted for EMA just with the aim of introducing it to the Slovenian public, so it was really unexpected." Even as the votes poured in from the juries, Lea continued to presume she wouldn't win. "I was much more confident and ready NOT to win." Now she has won, she is Lisbon-bound and will perform Hvala, Ne! in the second semi-final on 10th May. However, she is focussed on only two things – enjoying her time in Lisbon the most she can and interestingly, learning Portuguese. "I'm excited about learning the language and I want to do the best I can," she gushes. Her first foray into Portuguese was her preparation for an impressive impersonation of last year's winner Salvador Sobral as part of the Slovenian television show Znan obraz ima svoj glas (in English Your Voice Sounds Familiar). Unsurprisingly, when the topic of past Portuguese entries comes up, it is Amar pelos dois that she immediately cites as her favourite. As for this year's competition, she confesses she is not yet as familiar with many of the other contenders to seize the crown. "I haven't had time to listen to all of them, but I will meet them in-person at the pre-parties and I'm looking forward to that." Lea is in most anticipation of what she refers to as "that big stage and so many people watching my performance." In fact, ‘that big stage' is something she is more acquainted with than most – maybe even including Salvador himself – after having already performed twice at Eurovision in the past. 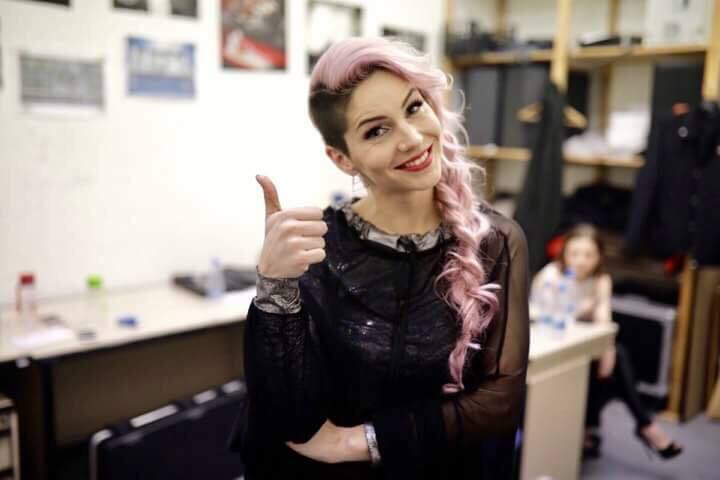 Lea provided backing vocals for Tinkara Kovač and ManuElla in 2014 and 2016 respectively, but this time she will step on stage as the main artist. "It's feels great [to be the main performer this time round]," she says enthusiastically. "I had a wonderful time in both Stockholm and Copenhagen. I learnt a lot of things and I had the opportunity to see what goes into the technical preparation for such a big event. I also had the chance to meet a lot of producers, musicians and very nice people, which meant a lot to me. But now, it is my time and I'm going to enjoy it and go there without being under pressure." Lea also plans to have to deal with little pressure when it comes to the on-stage presentation of Hvala, Ne! on the big night, as it is unlikely to go through any sort of radical overhaul from its initial incarnation at EMA. "We are going to make a few tweaks here and there, maybe do some fine-tuning, but the concept that we presented at the National Final will essentially be the same – we'll keep it pure and spontaneous," she explains. "The dancers will still be there with me of course, as well as my backing singer off-stage and that's it. I want to keep it simple. So, simple is the order of the day!" The song itself is "about when I find myself in that kind of fake, virtual world and from my point of view, there are things which I can say no to," she concludes. It would appear that any change in the song's visuals have been met with a firm no, in line with this philosophy. Lea's final message to fans also focusses on feeling comfortable within yourself and being able to say no when necessary – but not without being respectful to others. "Please open your hearts, feel the music and don't judge the musicians and performers – just enjoy whatever they have created. And importantly... in life, feel free to say NO when you don't like something or don't want to do something that you aren't entirely comfortable with." Lea has, on the other hand, said a resounding yes to other engagements – she'll be appearing at the pre-parties in Spain, Israel and the Netherlands. As for what lies ahead for her after Eurovision, the plans sound similarly in the affirmative. "I'll be finishing off my second album and have quite a few concerts coming up." So watch this space. Find complete version of this interview on our Facebook page. 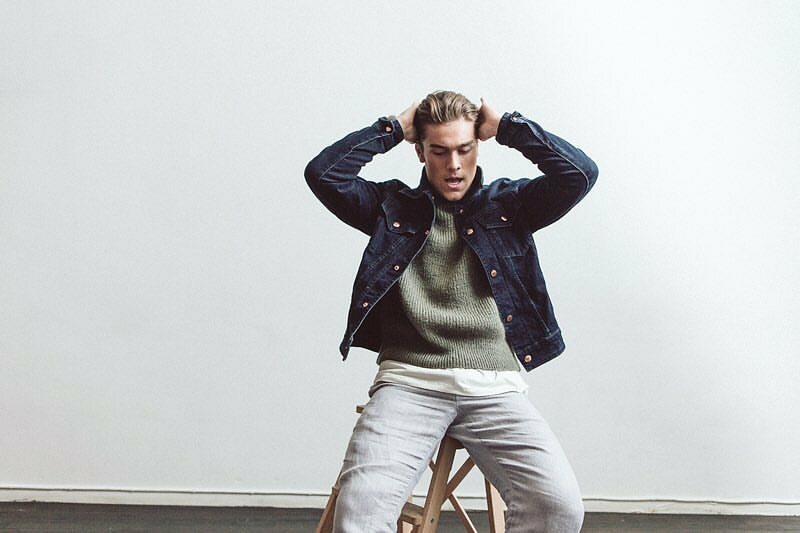 Relaxed, optimistic and very charming - that is how Jonas Rasmussen comes across by giving the interview for our readers. He actually seems to enjoy the whole preparation process for the contest: "I feel so excited, humble and overwhelmed to be a part of the Eurovision history. We're going to London, Tel Aviv and Amsterdam, and I'm looking so much forward to go sing the song and meet the fans. I can't wait!" His students at Viborg Cultural School support their teacher during this time: "They were so proud and happy, and I received so many messages from them. And when I saw them afterwards, they were so interested in hearing about my experience." The only downer is being away from his family: "But they know and I know that it's an experience of a lifetime, so that helps us in preparing for departures. But of course, if your 5-year old cries, when you go out the door, it's definitely hard to say goodbye, and most of all you just want to run back and hold her close." 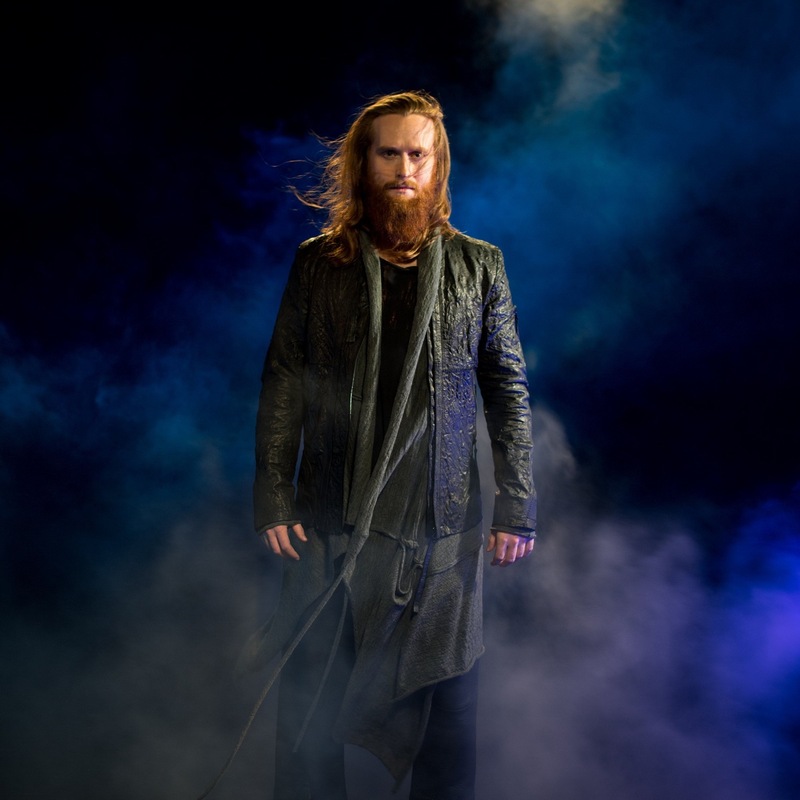 Rasmussen defines his aim at the Eurovision Song Contest very clearly: "First and foremost I want to go to the finals. If we succeed in that, well, anything can happen, and we'll do our best to as high up the scoreboard as possible." 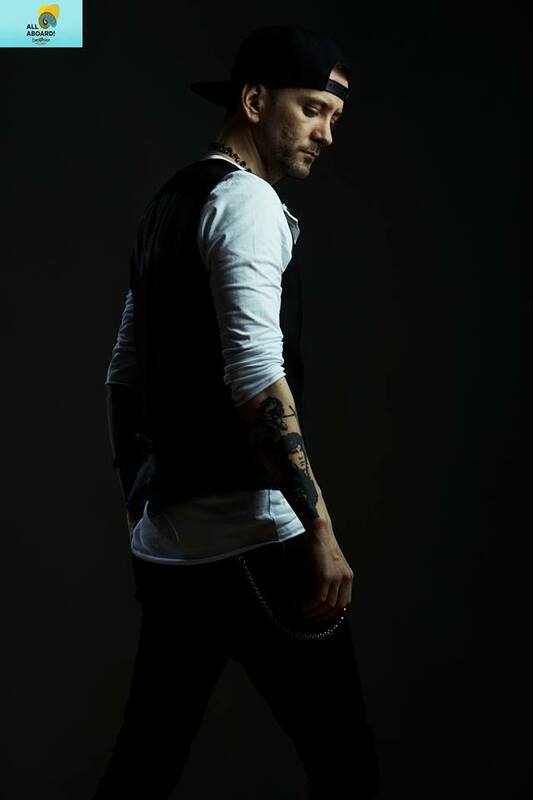 Due to his viking-esque appearance the 33-year-old Dane is the perfect cast for the song "Higher Ground": "I was contacted and asked to audition for the song, and I loved the song the second I heard it, so of course I said yes to audition, and was ultimately chosen to be the artist on the song. It's an epic song, inspired by the story of a peaceful Viking called Magnus Erlandsson, which advocate solving conflicts with words instead of fighting. The two great songwriters from Sweden were inspired by this legend of Magnus Erlandsson and thought it was exciting that he refused to fight the enemies of his king. The song's message is to think twice before doing something rashly in a discussion/argument. Step back and think about what you're doing, listen to what the other person is saying, and reach out your hands towards a peaceful solution, instead of crossing your arms and closing your ears." 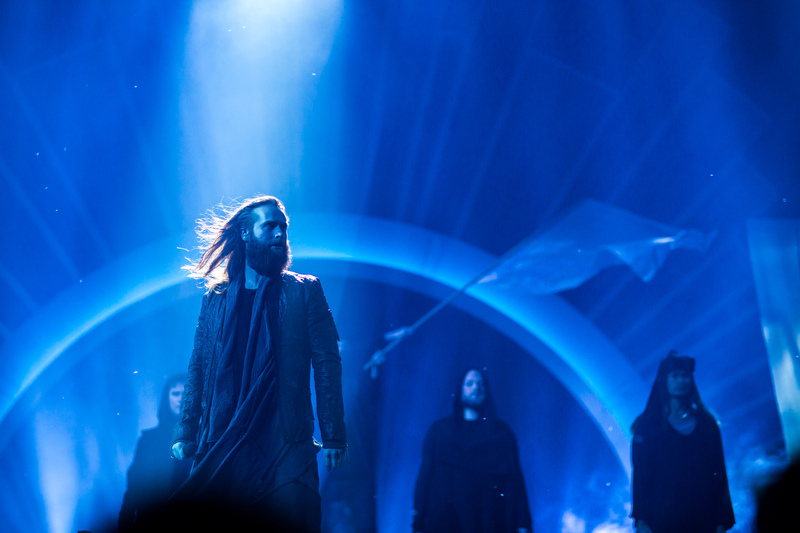 However, the stage presentation of the Danish entry in Lisbon appears to have been in the can already: "We have no plans of changing the song itself for the Eurovision song contest. We loved what we did at the national finals, so... ;)"
Having a degree in dramaturgy and music and due to his experience as an musical performer Rasmussen exactly knows about the importance of a good show: "I believe that the more connected the visual experience is to the auditive experience, the more "whole" expression you're going to get. 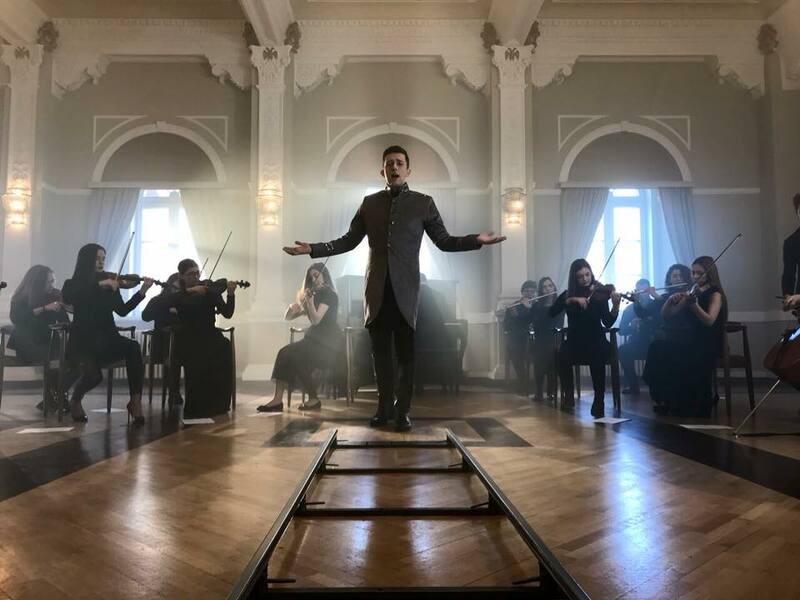 Often a successful visual presentation lifts the song to a new level, so that's of course what I hope people felt/will feel after watching "Higher Ground" at Dansk Melodi Grand Prix and Eurovision Song Contest." Unfortunately, there are no plans yet to film an official music video for his entry song, but the Eurovision postcard has already been filmed. "We filmed in the Palacio Nacional de Mafra, a beautiful place north of Lisbon. We got to walk around just the crew and me and the historic feel of the place was so breathtaking." Concerning a possible release of any different versions of "Higher Ground" or his follow-up carrier Rasmussen prefers to keep a low profile: "We've talked about something, but not anything I can talk about right now :) "
We hope he will be able to reveal more details during all his promotional appearances before going to Lisbon: "I can't wait to meet you guys, so I genuinely hope that a lot of you are going to the different pre-parties and of course to Lisbon. Please come say hi if you see me", says Rasmussen and invites to follow his journey at Facebook and Instagram. 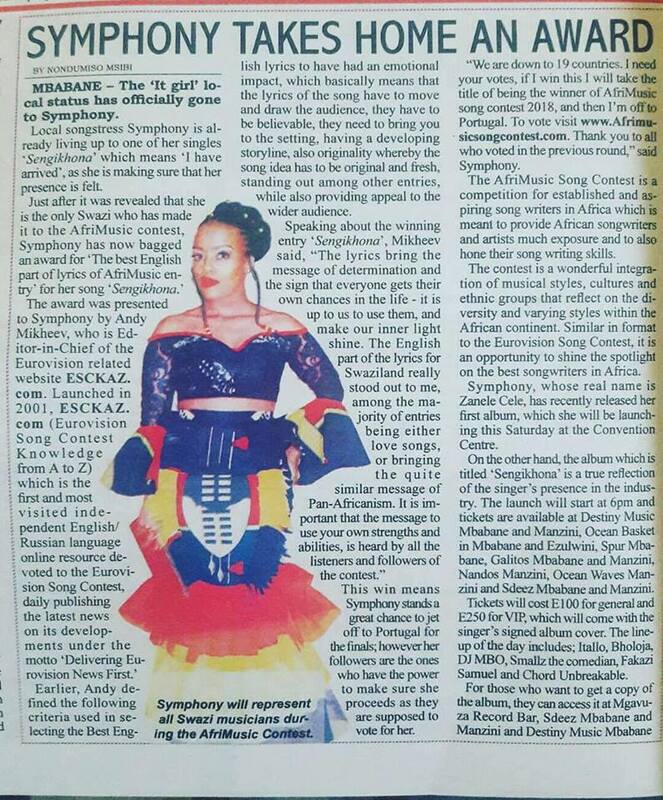 The AfriMusic Song Contest yesterday revealed that the winner of the first ever AfriMusic Song Contest was Swaziland's Symphony. Today the complete results of the voting have been released. Symphony won with an amazing rank score of 11 from the public votes and 9 from the judge's votes, followed by Cameroon's Ingrid White and Zimbabwe's Nina Watson. Symphony is an urban soul artist, born and raised in Mbabane Swaziland; where her love for music began and grew. Her sound is neo soul but her passion is gospel. Symphony's main objective is to empower, encourage and build other people especially young women. She is also looking to establish a charity foundation called the Symphony Care Foundation. Symphony's message in her music is that of courage, empowerment and putting people into remembrance of who they are, she says that this is the greatest gift you could ever give to a person. Symphony is the sound track of her beliefs and faith and that's why she writes her own songs. Even though she draws inspiration from international artists, she keeps her sound original, and this is why some of her songs are in SiSwati. Symphony believes in celebrating her own language and African heritage. 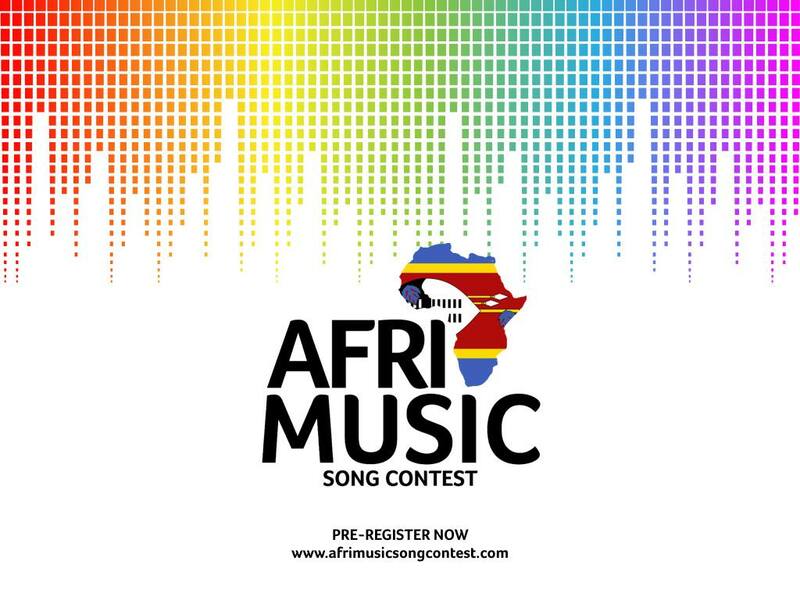 For further information on the AfriMusic Song Contest check www.afrimusicsongcontest.com. Our next guest at ESCKAZ interview sessions is the representative of Azerbaijan AISEL. 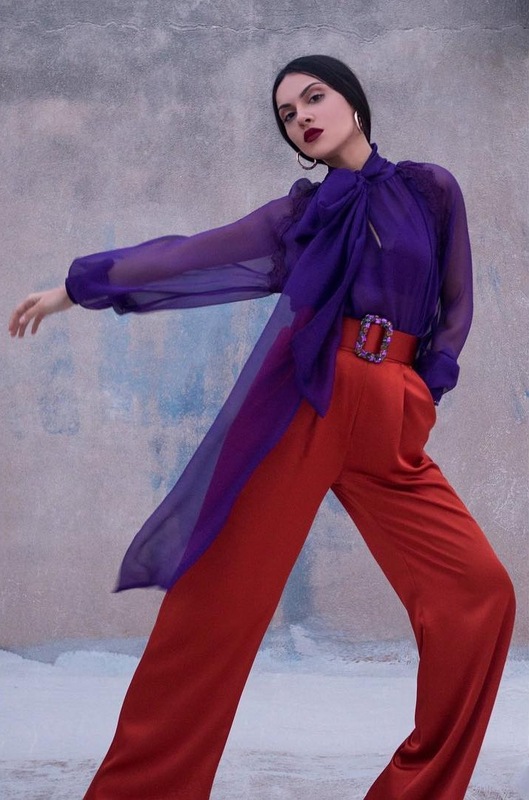 She is proud that she had the honor to represent the country at the contest: "I feel honored that I was given the opportunity to represent my country Azerbaijan in the Eurovision Song Contest. I am excited, nervous sometimes, all those feelings that someone has when he participates in this kind of event.". 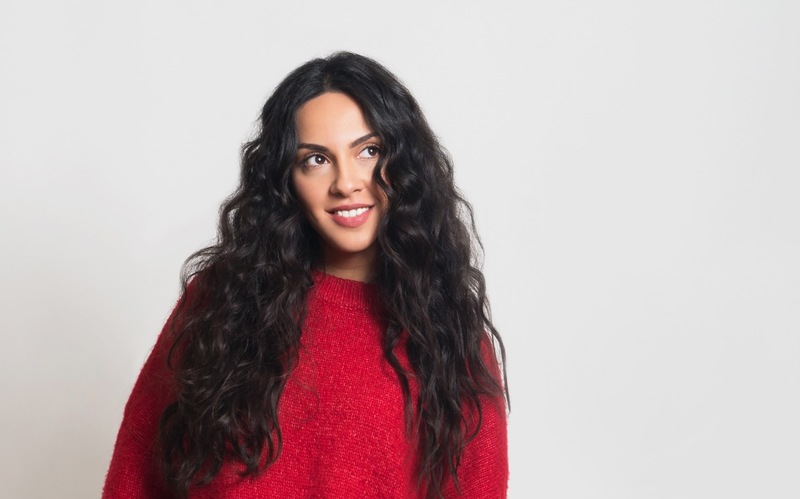 The singer recalls her first emotions after the proposal from the Azerbaijani broadcaster: "In the beginning, I felt little stressed because the whole procedure is unknown to me and therefore I didn't know what to expect and how to handle the whole situation. I agreed though because as I said it is a great honor to represent your country in such a big music competition.". Her contest entry "X My Heart" Aisel described as follows: "Well I would say that… if it was a season of the year it would be summer, if it was a day of the week it would be Friday and if it was a color it would be white… everything that puts a smile in most people's face.". The singer says that the song was created specifically for her by Greek team: "I know that it was written especially for me and as a musician a felt that it fits my voice. The production and style is very current and it creates an uplifting feeling that I like the most. When I first met with Dimitris Kontopoulos I told him that I would like to experience myself in different style of songs since I don't believe in genres of music but in good songs.". "The message is to believe in yourself and believe in your inner power. Sometimes willpower can be stronger than cannon balls… I have experienced it in many aspects of my life and I am sure a lot of the readers have at least a story that they can share, isn't, that right? ", says Aisel. A couple of weeks ago the singer created a piano remake of her entry specifically for the Greek fashion and music show "MadWalk". Soon this version will be available on YouTube. Other versions of the song is not planned yet as Aisel is focusing on the main version, which will be performed in Lisbon. Aisel shares information about the preparation of the stage performance: "I don't want to give any hints because I believe that some things you need to watch them and not describe them. 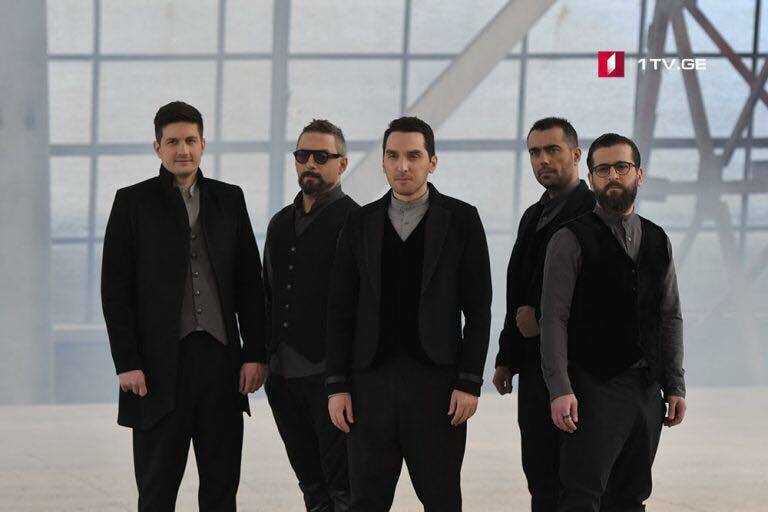 The only thing I would like to say is that before working with Fokas Evangelinos I watched on youtube all the numbers he has done for Eurovision: Dima Bilan, Dmitry Koldun, Ani Lorak, Sergey Lazarev, Farid Mammadov and others. I immediately thought: “Is my stage presentation going to be as nice as all these entries?” Today I feel it is and this makes me feel confident and happy.". As earlier revealed on the stage with Aisel will be 4 backing vocalists/dancers: "Of course, the song needs backing vocalists and I happy we are honoring Portugal by having on our number 4 singers from the host country. This is our way to say "Thank you" to Portugal for hosting us.". The singer spoke about her main goal at the competition: "My aim is to represent my country in the best possible way. We have worked very hard for several months for those three minutes. Hours in the studio, rehearsing, travelling so I want everything to be perfect and I believe it will be.". As the most difficult part in the process of preparations she sees a huge number of rehearsals: "The most difficult are the countless hours of rehearsals. On the other hand I understand that it is absolutely necessary and when I see the results of hard working I get happy and excited. From the whole process you get the chance to push your personal limits and ratify you. I find this amazing.". Aisel had already heard many songs of this year's Eurovision. She highlights songs from Greece, Belarus, Sweden but adds there are a lot of good songs this year and it's hard to single out her favorites. Also, the singer told us about the postcard, which was recently shoot in Portugal: "I have filmed the Eurovision postcard! I was lucky enough to be outside Lisbon in a beautiful castle with an amazing view. I was very impressed and I didn't expect that the view was about to be even greater! The main element of my postcard was an Airballon… We used this air balloon to fly above this beautiful area and enjoy the beauty of this place from a whole different perspective. I believe it was a very uplifting experience… just like my song is!". Before the Eurovision in Lisbon Aisel will visit Israel, Moscow and some other countries that can not yet be announced. The singer has already visited Greece. Basically, promotional activities are focused on the countries that will participate and vote in the first semi-final. Aisel doesn't plan to release new albums or singles yet. Now all her energy is directed at the preparation for the Eurovision in Lisbon. 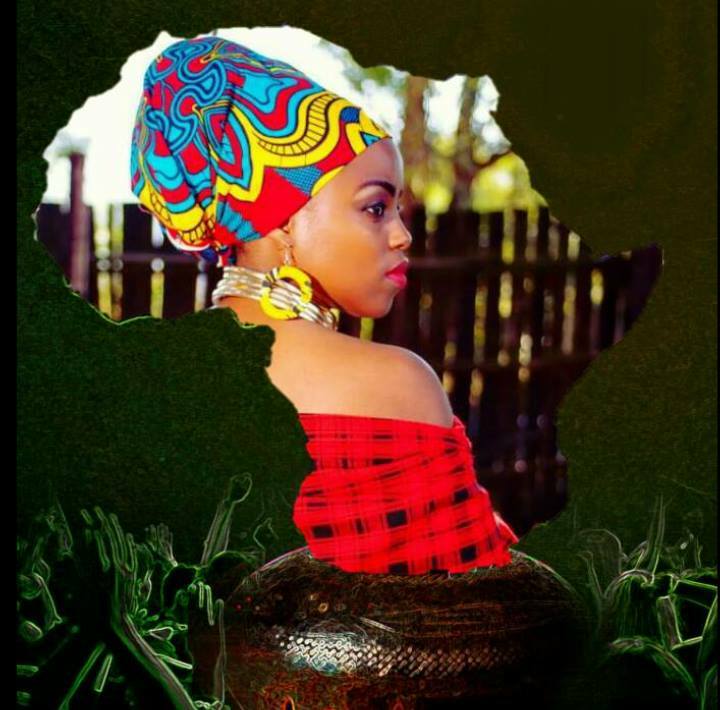 Urban soul singer from Swaziland Symphony (Zanele Cele) became the winner of the inaugural pan-African international music competition Afrimusic Song Contest with her entry "Sengikhona" (I'm Here). Nigeria - Jesu Me Yo We - Amawhe Earl J.
Symphony's musical journey has been graced with the honour of sharing stages with the likes of Khaya Mthethwa and also opening for South African gospel choir, Joyous Celebration, when they came to perform in Swaziland for their Joyous 20 tour. 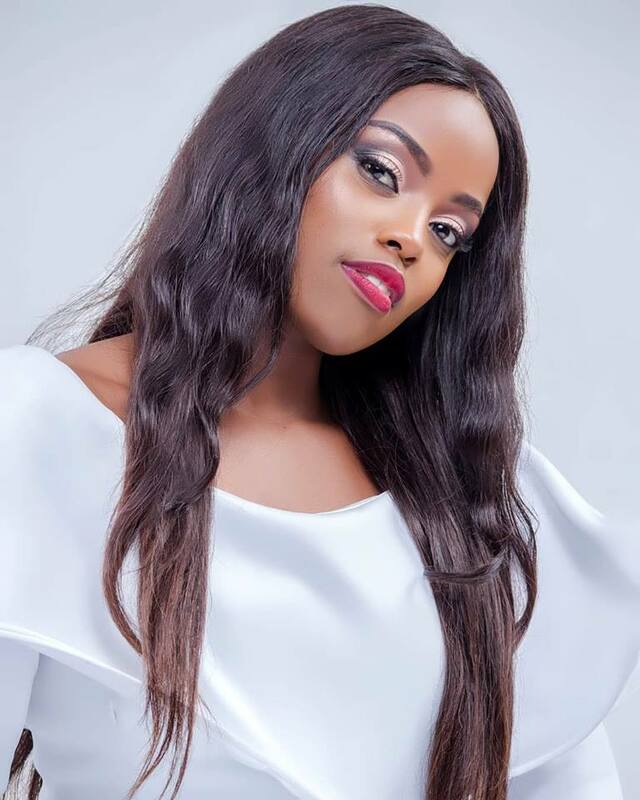 She has also collaborated with gospel rapper Switch on his Walking in Faith album, where she featured in hit tracks like "Titsatsele" and the lead track "Walking in Faith". In addition to this, she also made it to the top 5 finalists in Swaziland T55 talent search competition in 2015. 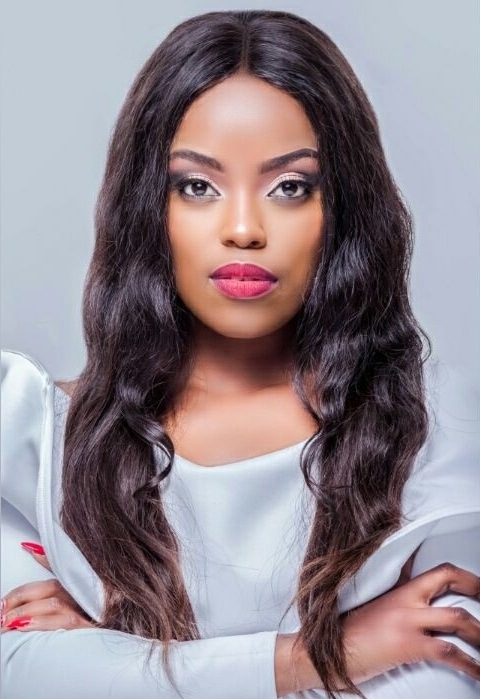 Last year singer became the winner of the MTN Bushfire festival and released her debut single "Sengikhona". 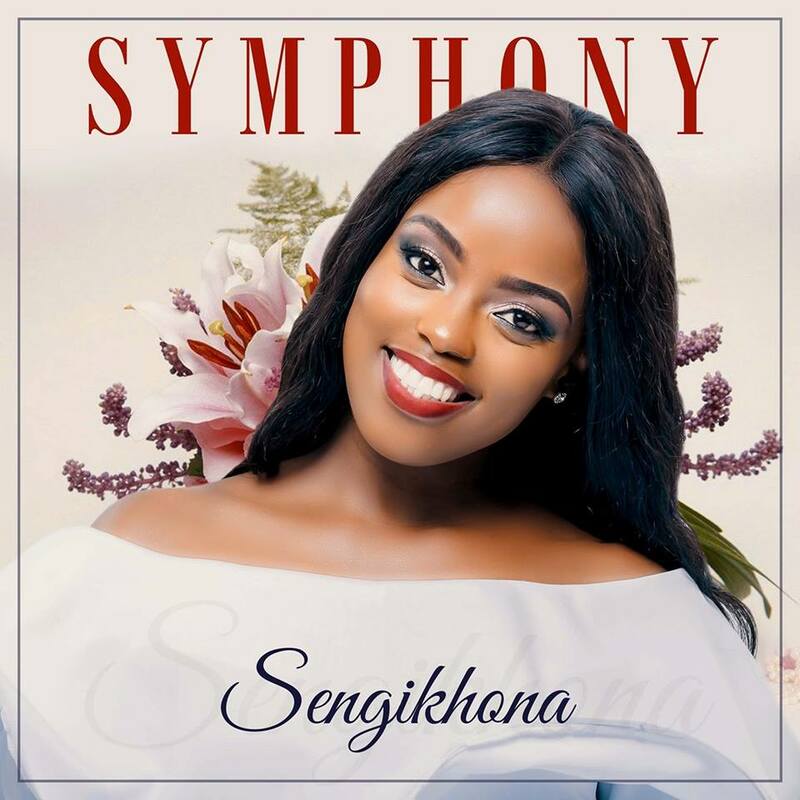 In the beginning of March 2018 Symphony has released her debut album also titled "Sengikhona" which included 12 tracks. The message carried by her music is one of empowerment, encouragement and a deep knowledge of one's self. It is interesting that the singer collaborates with well-known Swazi performer and music manager King Siso (Sibusiso Ntshangase) who also is partner of Eurovision Song Contest participant Valentina Monetta. Last week, singer from Swaziland also became the winner of the additional award within the scope of Afrimusic: Prize for the best English lyrics. Prize was awarded by Andy Mikheev, editor-in-chief of the leading Eurovision Song Contest website ESCKAZ.com which was one of the media partners of the event. Speaking about the winning entry Mikheev said the lyrics bring the message of determination and the sign that everyone gets his own chances in life. "The English part of the lyrics of the Swaziland entry really stood out to me amongst the majority of entries being either love songs, or bringing the quite similar message of Pan-Africanism. It is important that the message to use own strengths and abilities and to show forth is heard by all the listeners and followers of the contest," said Mikheev. 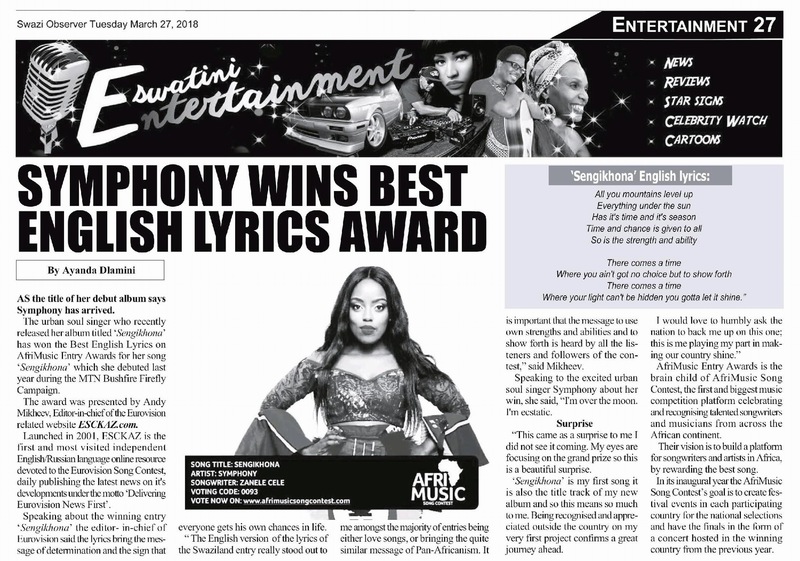 Symphony reacted to the prize saying to Swazi Observer: "I'm over the moon. I'm ecstatic. This came as a surprise to me I did not see it coming. My eyes are focusing on the grand prize so this is a beautiful surprise. Sengikhona is my first song it is also the title track of my new album and so this means so much to me. When I started writing songs I told myself I want to write meaningful songs. It's easy to copy others and do what they do because it's selling or trending but decided to stay true to who I believe is me. 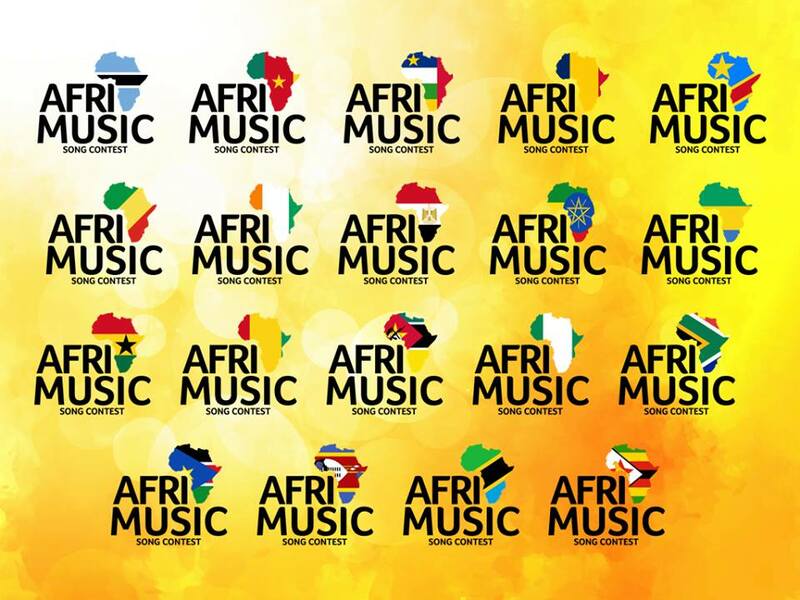 Afrimusic surprised me, went beyond the melody and genre. Being recognised and appreciated outside the country on my very first project confirms a great journey ahead. I would love to humbly ask the nation to back me up on this one; this is me playing my part in making our country shine". Prize for the best French lyrics was won by the representative of Chad Stev'N-T. Results of the voting for this Award are available on Eurovision-FR.net - French media partner of the event. It is planned that Afrimusic winner Symphony will take part in several events within the scope of the Euroweek in Lisbon in May. As part of the special prize, Roy van der Merwe, owner of the ESCCovers website - another media partner of the event, will carry the costs of production of cover version of any Eurovision song of Symphony's choice in duet with another singer. "We at ESC Covers are primarily focusing on the covers of Eurovision songs by other singers in a variety of languages and that is what we try to promote, showing that Eurovision songs can become popular in other countries and in other languages". The choice of a duet partner will be made by Simphony, King Siso and Roy from applications received from any singer (male or female) around the world who want to do a duet with Symphony. Singers who are interested in being considered for the duet, must contact roy@esccovers.com". 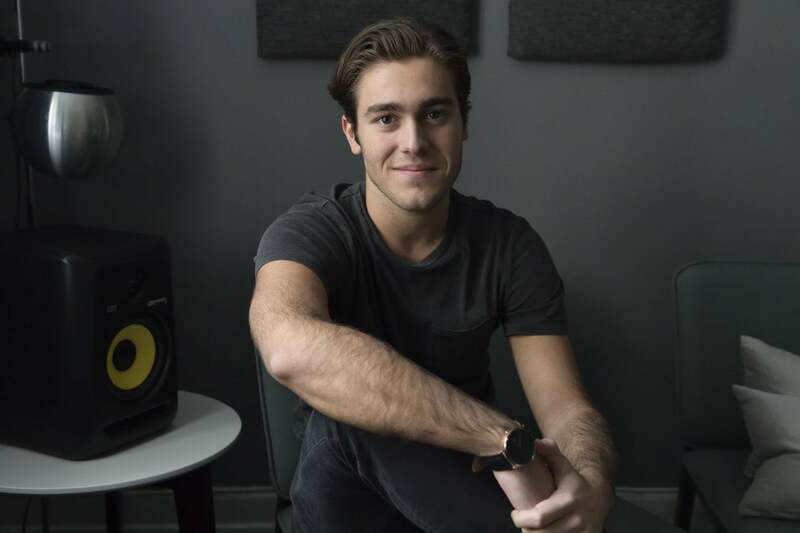 Our next guest is Benjamin Ingrosso from Sweden. The singer is happy to represent his country at the main music arena of Europe: "Thank you so much,it's an amazing feeling! It's huge for me to be representing my country in this big world wide known competition!". Benjamin describes his song as: "DANCE YOU OFF!! Hehe – but really it's a vibe modern song that's hopefully wants to make everybody dance!". 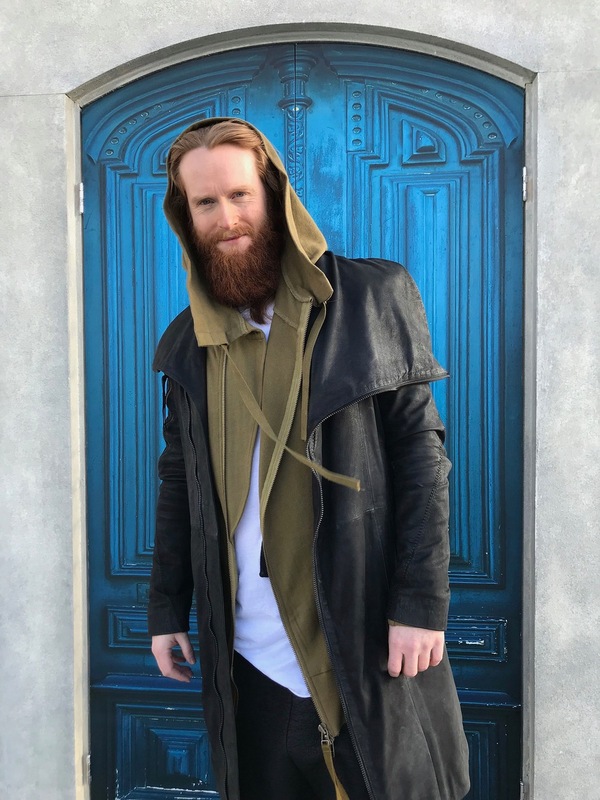 He also shared with us the story of the creation of his entry: "I went to LA to write som new music after last years Melodifestivalen and had just broken up with my girlfriend. So I wrote this because I just wanted to dance her off and move along with my life because I was heartbroken. Today we are together again and happy as never before. She loves the song as well – which is good.". The performer hopes to convey through his stage performance the following message: "I want everyone that sees and hears this song to feel the same feel-good-vibe that I feel everytime I hear it. I want people to relate to the text and feel the emotions of wanting to move forward from a rough period with happiness.". Benjamin has no plans to release versions of the song in other languages, but promises remixes for the song. Also, an extended version of the song will be released soon. The singer answered the question about the changes of the stage presentation for Lisbon: "I will be having my awesome team with management, stylist and choreographer from the Swedish finals with me. And it will maybe be some differences from the Swedish finals.". Since the chorus of the song consists of seven different parts, Benjamin will certainly resort to help of backing vocalists, but he doesn't name them. Benjamin talks about his main goal at the competition: "I will do my best, have fun and give everything I got to show everyone how much I love to perform and entertain. First goal will of course be to make it to the finals from semi!". He believes that the most difficult moment in the process of preparing for the competition: "Stay focused and enjoying this once in a lifetime experience! And I heard that it's very intense with fans and press – I really hope I will have the time to meet everyone who likes my music to say how grateful I am.". Benjamin listened to many of this year's competitive songs. He highlights the Spanish entry. Soon Benjamin will go to Lisbon to shoot a postcard. He does not tell us what he will exactly do, but hints that it will be associated with the food. The singer plans to attend pre-parties in London, Amsterdam and possibly Madrid. Sweden has just a little left to catch up with Ireland on the number of victories in the competition. The question whether this puts extra pressure on him, Benjamin says: "I just hope I don't let people down! I want to please the ones who believes in me – and what that means time will tell. Of course I want to win – but it's so many great songs this year that I feel can be hard to beat.". Last year Benjamin was already involved in the national selection, he recalls: "I think Melodifestivalen and Eurovison is a great opportunity to show off new music and creative performances – when they asked me to participate one more year I felt I had a great song I want to spread – and of course you always have in mind. “what if people think this one is the best?!?!?! What if I win??! ?” it was my turn now!". If he did not win who could be representing Sweden in Lisbon? "My brother Felix! I love his song! I also think Mariette and John's numbers are great! It was heavy competition!". Benjamin also told us that he is preparing the album and is looking forward to a trip to Lisbon, and is ready to rock at the Scandinavian party. "Just want to let everyone now I'm so grateful for this! I'm so glad people like my music so I can continue doing this a long time forthcoming! THANKS!" "Eurovision in Portugal will be held at the fantastic Altice Arena, designed for 20,000 spectators, with a beautiful stage and new effects. We and Pavlo Hrytsak (Euromedia) and Ukraine's Ambassador to Portugal, Mrs. Inna Ohnivets spent whole day in Lisbon working on organization of a presentation of Ukraine during this year's Eurovision. We met João Nuno Nogueira, Executive Producer of Eurovision in Portugal, the head of RTP the host broadcaster, the representative of the municipality of Lisbon responsible for culture and international affairs Catarina Vaz Pinto and had many other positive meetings! 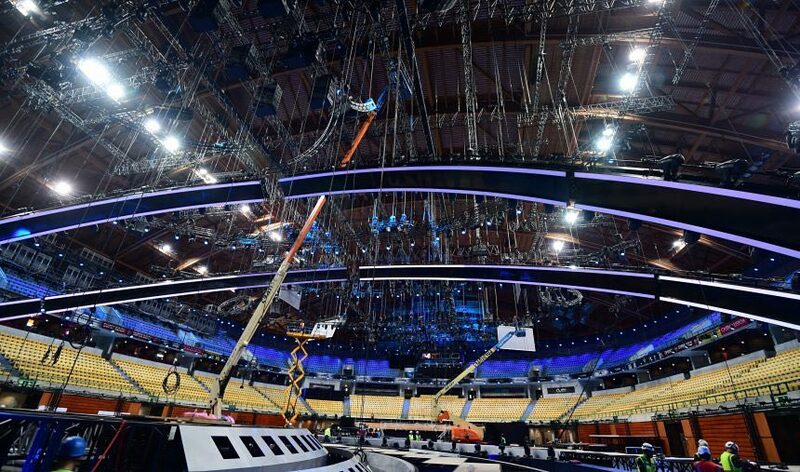 I saw the stage, the arena, the idea of ​​this year's Eurovision. It should be cool there! And we will be cool too!)" 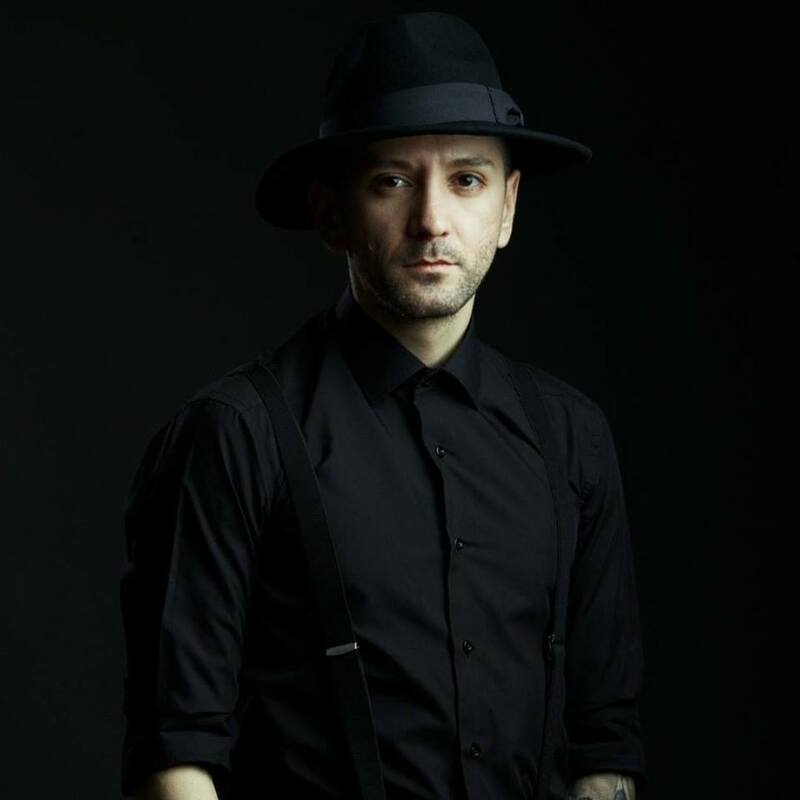 Eugent Bushpepa, this year's Albanian entrant, spoke to us at ESCKAZ this week about his entry and what lies ahead for him in the next few months. "It's a great opportunity for me to represent Albania this year and I will give my very best to do it well," he proclaims, humbly. As has often been the case in recent times, the Western Balkan nation were first to choose their song for Eurovision this year. 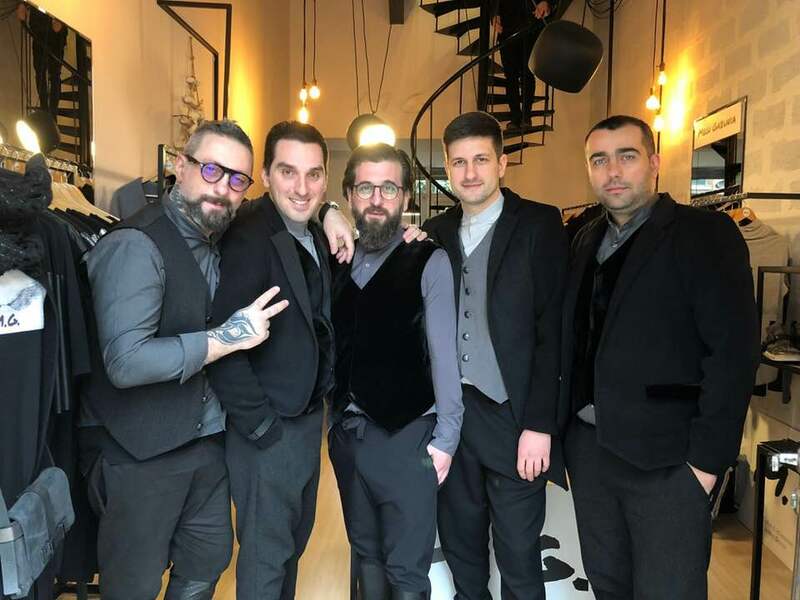 It was Eugent's stirring and heartfelt effort "Mall" that won the 56th Festivali i Këngës and with it, the chance to perform for his country in Lisbon. He says of the song, which translates as Yearning in English; "It is a re-creation of memories of my loved ones, interlaced with my inner sound." The song is self-penned and its original length exceeded four-and-a-half minutes, which meant that it would have to be shortened to meet Eurovision criteria. "It was a hard task to take out 1 minute 36 seconds from the song, especially cutting out a big part of the lyrics," says Eugent of the editing process. "Regarding the melody," he adds, "we decided to make a few minor touches to it on the new version so we could maintain the growing melodic feel of the original version, without losing the emotion." With regards to his upcoming performance at the Contest on the world-renowned stage, Bushpepa feels he will be right at home, but there will be new elements for him to relish. "I guess I could call the stage my second home but every performance is different and Eurovision will be no exception to that. I think it will be solid, ‘unknown ground' for me that I am very much looking forward to explore." The presentation of the entry will be straightforward – with the song centre-stage. "The only thing that I can say is that it will be very simple, so people can focus on the song. 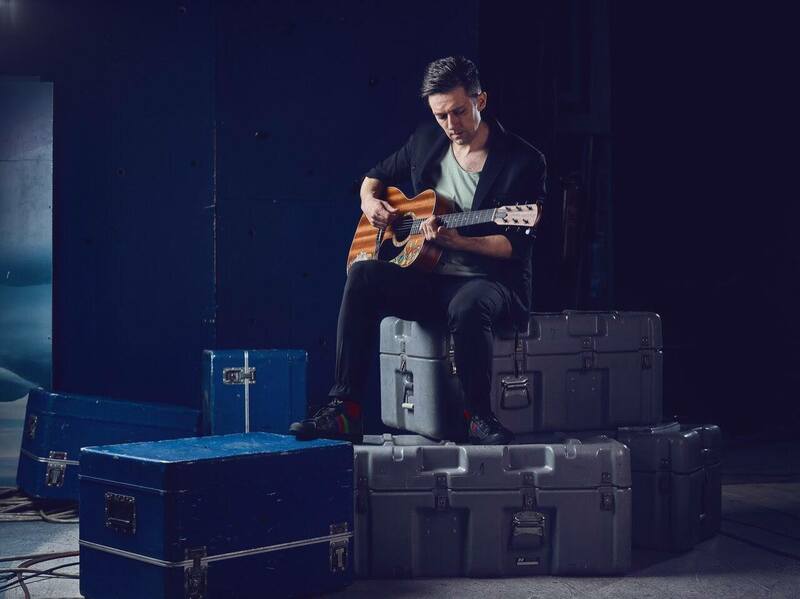 I will have my band with me on stage and two wonderful female backing vocalists." Eugent is most looking forward to meeting new artists and sharing his music at Eurovision. He is keen to focus solely on his performance – not on the song's chances. "My only goal is to be able to perform at my best on the Eurovision stage, anything else on top of that it is out of my sights at the moment." He has a little more expectation when it comes to Lisbon and says he is looking forward to taking in its "history, hospitality and good weather". Not only that, as well as being a fan of last year's winner, Eugent is full of praise for this year's Portuguese entry, Cláudia Pascoal's "O jardim", which he describes as "mellow and beautiful". The man has been doing his homework in preparation for Portugal – having heard the majority of the songs and already has several favourites of his own. "I could mention the songs of Belgium, Greece, the Netherlands and Bulgaria [as well as Portugal] and the list goes on." In the run-up to Lisbon, Eugent will be taking in some of the promotional events across Europe. "We're planning to take part in some Eurovision Parties like the ones in London, Tel Aviv, Amsterdam and Madrid but we still have to confirm them," he states. "Find a balance between passion and logic and always use that balance to express yourselves the way you want. Don't let anybody judge you or tell you that you're wrong." You can read complete version of the interview on our Facebook page. 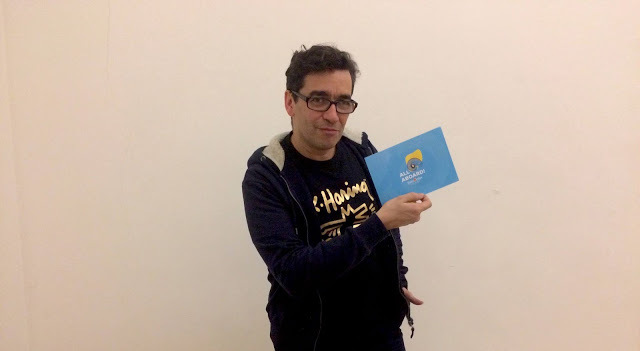 After radio program devoted to the Eurovision Song Contest history well-known Portuguese Song Contest expert and commentator Nuno Galopim launches a new radio show devoted to the event. "12 Pontos (mas em 3D)" will be aired on commercial radio station Antena 3 at midnight local time of the night from Sunday to Monday. Each program will have special guests - members of the organizing team of the contest. During Euroweek program will be aired more often and will report on the latest from the backstage of the contest preparations. Guests of the first program will be Portuguese representatives Cláudia Pascoal and Isaura. Elina Nechayeva, performer of the Estonian song, La Forza, is one of the early favourites to take Eurovision glory in Lisbon. She spoke to ESCKAZ this week about her forthcoming appearance at the Contest and her love of opera and classical music. 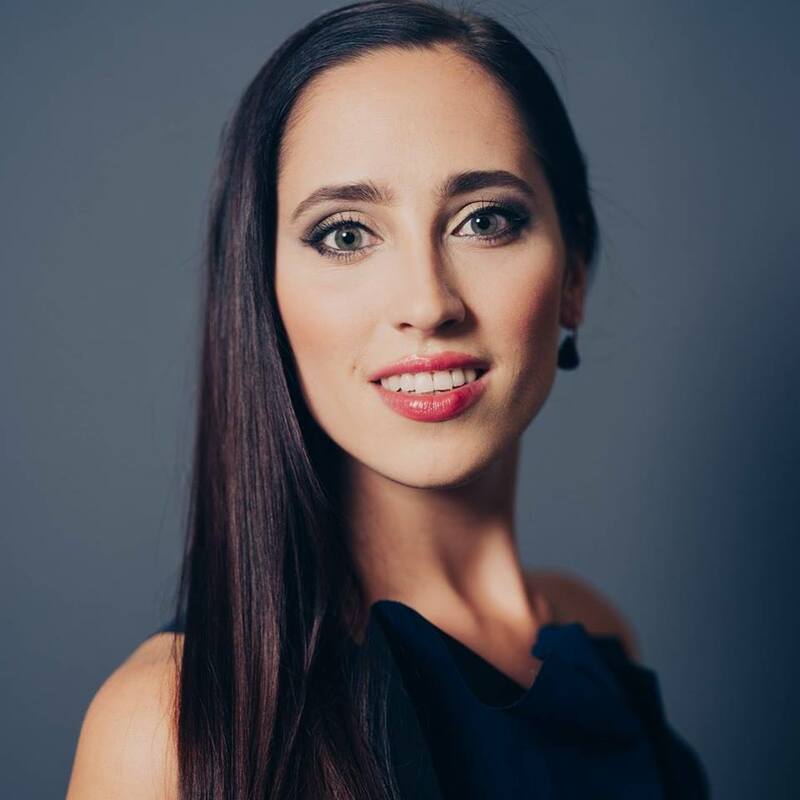 One thing is clear – Elina Nechayeva is looking forward to representing Estonia at Eurovision in May. "I'm very excited!" she says enthusiastically. "I'm really thrilled that I will be able to sing my song for almost 200 million people – it's crazy! This is the biggest audience you can sing to and I hope I will do my best and I can give so much love to so many people." That love is already being reciprocated by both the bookies and fans alike. La Forza, essentially a traditional opera song, has already received an overwhelmingly positive reaction from Eurovision fans and sits near the top of the betting markets. However, Elina doesn't feel the burden as yet. "I don't actually feel any pressure. I just want to do my best. I am a professional singer, so this is my work," she explains matter-of-factly. "This is what I do every day, I sing and I'm an artist and I always do it with all my love and passion. So, I will do my best and I will give all my love to the audience. I am already collecting love from all over Europe!" After hosting the Eesti Laul semi-finals in Estonia last year, Elina was drawn to the idea of competing in the show herself. "I thought that maybe I could bring something different to the show, but I didn't know what." It was when composers Mihkel Mattisen and Timo Vendt heard her singing at her friend's wedding that they wrote the song especially for her voice. "I really liked the melody. Then me and my friend Ksenia, wrote the lyrics and we sent the song to Eesti Laul…and you know the rest!" Elina describes the meaning of the song as being "about real love that lightens our way, gives us wings, takes us to the sky and gives us real power so that we can move even mountains. It's about universal love – love for children, love for parents, love for nature…it's all these kinds of love." The message she wants to get across is two-fold; for us to connect more as a society – away from the trappings of technology; and for people to develop more of an open mind when it comes to the beauty of classical music in the arena of mainstream music, with love as the central theme. "In our society, we should talk more about real love and real feelings," she asserts. "We need to be in the here and now – not on our smartphones constantly but really here, connecting with each other and giving love. Love is the greatest power of all. This is what La Forza is all about and I hope that people enjoy the song." "I hope that me singing this kind of song will awake an interest in people for classical music and vocals, that people will discover that opera and classical music aren't boring but instead that they are really interesting and beautiful." 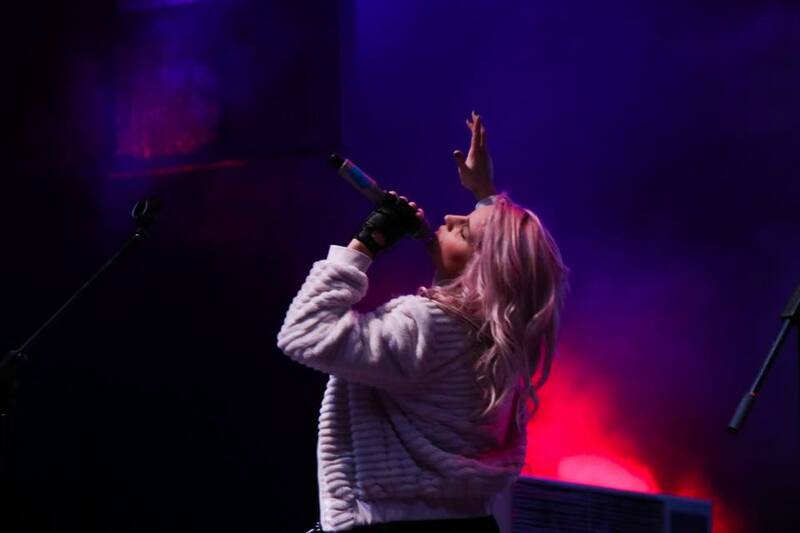 As for an insight into how the song will be presented on the Eurovision stage in May, Elina is emphatic that what they already have, will stay in largely its current form. "We had previously done so much work on all the tiny details of the song so we finally had it how we wanted it, so the song will remain absolutely the same," she explains. "I think the Eesti Laul performance was already exactly how I want the song to look, so we are going to keep it as it is. There it worked perfectly and I hope that it will work in Lisbon too," Elina adds. There are, however, already two dance remixes of the song and Elina is "already thinking of writing some lyrics for it in other languages". Unfortunately, due to prior work commitments, Elina won't be able to attend any of the promotional events taking place in the next few weeks before Lisbon but she has already been to Portugal to film her Eurovision postcard. She describes it as "the scariest thing I've ever done in my life! I had a very interesting conversation with myself – one side was telling me I couldn't do it and the other side was telling me that 'the force' was with me and I could do it! But the experience was awesome. The team in Portugal was really lovely and professional and it was really great to be a part of it." Any plans for an album in the near future are in their infancy but Elina says it may take the form of "a story about love with similar songs to La Forza". Her final message to ESCKAZ readers, continues the theme of love and her love of classical music. "Opera and classical music are things that give a lot to our hearts and souls. I hope to have an impact like that on people. Thank you for your love and support". Vanja Radovanović is the latest artist to speak to us at ESCKAZ. "It feels great to be representing Montenegro at Eurovision! I'm proud to have this opportunity to represent my country," says Vanja. Vanja won Montevizija in February with the song "Inje", which booked his ticket to Lisbon. "Inje means hoarfrost in English. It is a frost that creeps up on immovable things, but in the case of the song it relates to it creeping up on people's relationships," he explains of his entry, an emotive, traditional Balkan ballad. "I wanted to record an emotional song that I liked, with powerful lyrics and some traditional Montenegrin melodies." Vanja is also keen to emphasise the importance of him singing in his mother tongue. "It's very important for me for the song to be sung in Montenegrin, because the lyrics are a big part of any song. You don't have to understand the words or all of the lyrics, but you need to be able to feel them." From one listen to the song, it is clear that the emotion and the feeling in the song transcend the boundaries of language. Vanja has been performing for a number of years. His first notable achievement was his appearance at the Budva Music Festival in 2004, where he won the best debutant prize for his song "Dripac". Performing is in his blood it seems. "The last time I performed at a festival was 12 years ago so it's been a while but I've had a lot of concerts with my band and it's still the number one thing for me." 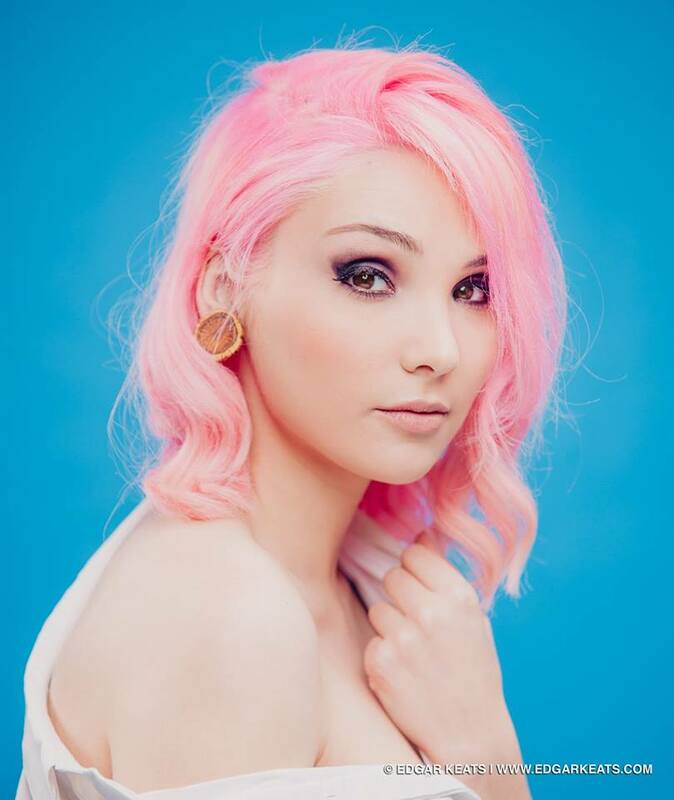 When it comes to Lisbon, Vanja is eager to return to the city and is enthusiastic about appearing on the famous Eurovision stage. "I'm really looking forward to visiting Lisbon again and having a great time with wonderful people. Plus, the experience of performing on the Eurovision stage and the organisation of course." However, he is philosophical about his chances of taking the trophy back to his homeland. "I don't like to place a lot of expectation on anything. I'm just going to go with the flow!" he states in a relaxed manner. "I look forward to great weather in May and a lot of great people who know how to enjoy life itself." The track's video, which seems like an epic three-minute film in itself, was inspired by Rene Magritte's famous painting "The Lovers", Vanja informs us. "It was directed by Gojko Berkuljan and I really love how it turned out. It's very artistic and meaningful – it enhances the song in every sense and they go hand-in-hand together. Like the perfect lovers." Vanja is slightly coy with regards to the staging and styling of his upcoming performance in May, giving little away. "It will be as artistic as the song and the video are. Simple and beautiful." As to who may be joining him on stage in May, he replies with a playful gleam in his eye, "let me surprise you". He is still familiarising himself with this year's other entries, but the host nation's submission has already captured his imagination. "I haven't heard them all yet but I love the Portuguese song. There are a lot of good and very different songs and I'm glad music is the most important thing this year." Not only is he a fan of this year's Portuguese entry, but he positively gushes when it comes to speaking of last year's winner and Portugal's most renowned musical traditions. "Salvador Sobral changed things in many ways for all of us and it's really a big thing – the biggest probably. I like Fado very much, especially Amalia Rodrigues." In terms of past Montenegrin entries, Vanja speaks highly of many. "Sergej and Knez both had good songs, but my favourite is Who See's [Igranka]. Rambo Amadeus' was also great in his own, unique way." Vanja will be appearing at the upcoming Eurovision pre-shows in London, Tel Aviv and Amsterdam. He believes his team may add a few more to destinations to this itinerary before the schedule is finalised. His philosophy when it comes to his chances of Eurovision success seems to hold firm when it comes to his future plans. "I don't like planning – I just go with the flow. There will be a lot of music for sure.". Vanja's final message to ESCKAZ.com's readers is a similarly positive one. "Just listen closely and enjoy music and life as much as you can." Read the complete text of our interview with Vanja on our Facebook page. 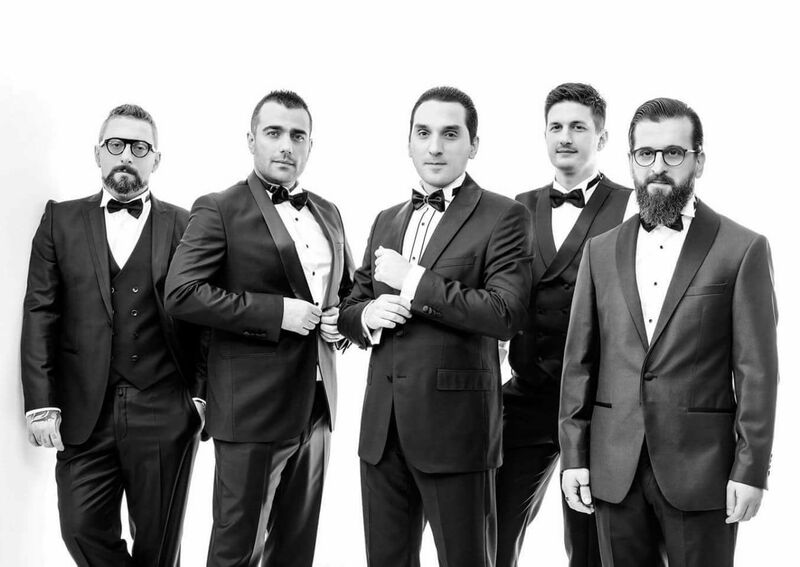 The next guests are IRIAO representing Georgia at the Eurovision Song Contest 2018. They told us that their song "For You" is "about the moment when you forget about every single duty and worry of your life and give a hand to others needing it. The moment when you get feelings of others and give away everything you can, to others. Doing this, you stand stiff for a second, get enormously positive emotion, warmth, and start to feel strongly how your heart beats (this is the heart beating you can hear during the chorus part in the song). Eventually, you realize that this moment is worth for living… This is the message in overall, and shortly we would say "Not me, but We". They explained that the song was created in a "family atmosphere, with all of members being involved in preparing something very special dish, for instance. The one that should be tasty not only locally, but for the rest of the world - having this great opportunity to make the rest of the world try it. Thus, we put best of our efforts in it, sometimes quarrel, sometimes embrace, but finally, very carefully tried to pick the right ingredients and spices to make others enjoy it and end up positive emotions". IRIAO also told us that they have several ideas for different alternative extra versions of the song and are now about to choose one of them. 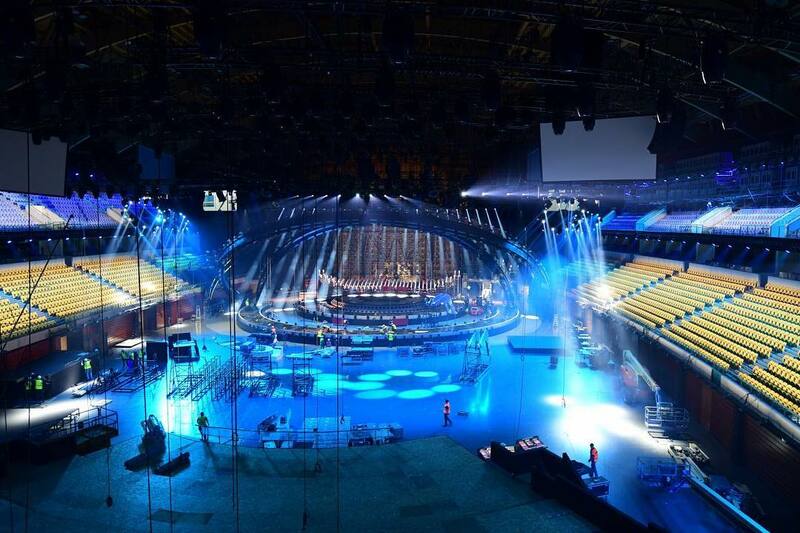 They did not give out a lot of secrets on their staging but revealed that the stage art director is Zaza Orashvili and they hope the Eurovision audience will enjoy it. Regarding the preparation process for Eurovision they said that many difficult steps were done and that they all experienced a lot of sleepless nights - but the most difficult will be the live performance itself. They told us that they filmed their postcard in February and that it was a really exciting experience, as it coincided the Chinese New Year and IRIAO was part of the parade. They have also listened to other ESC songs and are very much pleased that the contest is going to be very diversified and challenging one. They look forward to meeting the other participants at the promo party in Israel in April which they will attend. Девиз ESCKAZ - "Узнайте новости Евровидения первыми!". Как обычно, наша команда официально аккредитована и будет сообщать вам новости Евронедели от начала и до конца во всех их подробностях. Ежедневно, с 27 апреля по 13 мая на БЛОГЕ ESCKAZ.com ИЗ ЛИССАБОНА вы сможете узнать всю самую свежую информацию о конкурсе прямо из столицы Евровидения 2018: Репортажи о репетициях, пресс-конференциях участников, фанатских и других мероприятиях. Мы также постараемся держать вас в курсе событий, происходящих и за пределами пресс-центра Евровидения, арены и Евроклуба. С полным расписанием мероприятий, репетиций, пресс-конференций и т.п. вы можете познакомиться в гиде ESCKAZ для Евровидения 2018. Данная страница новостей не будет обновляться на Евронеделе, потому, пожалуйста, заложите закладкой адрес нашего блога. Беттеры полагают, что Израиль, Болгария, Чехия, Франция и Австралия поборятся за места на вершине турнирной таблицы, при этом Израиль выглядит очевидным фаворитом на победу в Лиссабоне. Израиль также одерживает легкую победу в голосовании фан-клубов OGAE. В топ 5 также входят Франция, Финляндия, Австралия и Чехия. 14 стран до сих пор не набрали ни одного балла. Окончательные результаты должны быть оглашены 29 апреля. Израиль одержал победу и в большинстве онлайн-опросов, в частности, на ESCStats (над Грецией, Францией, Кипром и Бельгией) и ESCNation, где он обошел Францию, Болгарию, Бельгию и Эстонию. В нашем собственном опросе ESCKAZ он победил Финляндию, Францию, Бельгию и Чехию. К сожалению, из-за ограничений во времени, в этом году мы не успели подготовить текстового обзора фаворитов команды ESCKAZ, но мы запишем в Лиссабоне ряд видео подкастов, из которых вы узнаете мнение обозревателей нашего сайта. На нашей Facebook странице запущены два опроса-предсказания, где вы можете попытаться предугадать 10 финалистов из каждого из полуфинала. Это нужно сделать до 5 мая, а после шоу мы определим лучших прогнозистов. Самый дешевый из последних 10 конкурсов - в то же время наполненный технологией. Заместитель исполнительного продюсера Евровидения-2018 Пауло Ресенде рассказал о некоторых деталях в интервью Dinheiro Vivo. "Ничто не сравнимо с организацией Евровидения - это будет крупнейшее телевизионное шоу, когда-либо выпущенное в Португалии", - говорит Ресенде. Цифры говорят сами за себя: 250 грузовиков, в которых перевозятся самые современные материалы, более 250 техников для трех телевизионных передач, 200 км кабелей вокруг павильона и "паутина" на крыше, которая впервые должна была быть поднята на высоту с 20 до 25 метров для размещения 220 тонн оборудования. Ожидается, что эфир 12 мая увидят "более 200 миллионов человек по всему миру", и в этом году он будет транслироваться в США и Китае. "У нас есть запрос от китайского телевидения на использование комментаторской будки, поэтому они будут вести прямой эфир с Арены", - говорит Ресенде. Он гарантирует, что фестиваль уже побеждает американский Супербоул, и по аудитории уступает лишь финалу Лиги чемпионов. Согласно прогнозам, в Лиссабоне прибудет около 50 000 человек, в частности была выдана 1 521 пресс-аккредитация. Пауло Ресенде, который отвечал за производство несколько шоу RTP, включая последние выпуски Festival da Canção, никогда не видел телевизионного шоу такого размера, которое станет самым большим вызовом его долгой карьеры. "Здесь все в астрономических величинах, и у нас есть лучшие в мире технологии, мы даже попробуем некоторые новинки, которые еще даже не продаются", - объясняет португальский продюсер. За сценой, в отличие от привычного ранее, больше не будет гигантского экрана, а разместится "огромная стена" с современными панелями под названием Magic Panels. "У нас есть 350 блоков освещения, которые создают разные текстуры для каждой песни, благодаря тысячам светодиодов, запрограммированных на то, чтобы действовать по-разному", - говорит Пауло Ресенде, который признается, что внутренне называет эту стену - "Стена смерти" из-за ее размеров. Разбросанные по всему павильону, во время шоу также будут задействованы 2300 робото-огней - огней, которые движутся синхронно, создавая особые формы. "Они будут задействованы в каждом выступлении и придадут шоу удивительное измерение и зрелищность", - объясняет исполнительный продюсер. И как они работают? "Они управляются удаленно и уже запрограммированы. Мы сделали эту работу в Pavilhão de Portugal, на 14 световых столах, все взаимосвязаны, чтобы запрограммировать освещение для всех песен". Пауло Ресенде также упоминает автоматизированное освещение. "У нас будут задействованы 17 прожекторов, которые будут управляться дистанционно, и избавит нас от проблемы безопасности, потому что раньше они управлялись живыми людьми, висящими в подвесной паутине потолка". Шоу будет записывается в формате HD, а аудио будет в формате 5.1. "Мы также тестируем будущие решения Immersive Audio, который является еще одним суперсовременным методом передачи звука, обеспечивающим превосходный объемный звук, но мы пока не сможем передать его на экраны зрителей", - объясняет он. Существует также программное обеспечение для автоматического редактирования под названием Cue Pilot, которое функционирует как автопилот самолета, и позволяет программировать автоматическую работу камер в реальном времени. "Здесь очень подробно посекундно запрограмированно заранее, какой план операторов будет использован в каждый из моментов шоу", - говорит Пауло Ресенде. И сколько это будет стоить? Меньше предыдущих конкурсов. Стоимость "огромна", потому что мероприятие "намного больше, чем три телевизионных трансляции", до такой степени, что Altice Arena мала для него. Pavilhão de Portugal будет использоваться в качестве Media Village, и потребуется несколько вспомогательных структур за пределами Altice Arena. "Наше обязательство - сделать Еврофестиваль дешевле, чем он обходился в последние 10 лет". Пауло Ресенде хочет при этом добиться максимально возможной эффективности, и отказывается упоминать точные суммы затрат. С 23 апреля по 12 мая все зрители телеканала RTP 1 смогут следить за подготовкой и проведением конкурса Евровидение 2018 при помощи серии программ Todos a Bordo - All Aboard. Каждый день, после вечернего выпуска новостей, Hélder Reis, Tiago Góes Ferreira и Joana Martins покажут всю подготовку к конкурсу - команды, музыканты, делегации и все детали с арен и закулисья. Каждую неделю вы сможете вновь пересмотреть лучшие моменты в компактной сборке самого интересного, что произошло за неделю. Участники и делегации всех 43 стран, принимающих участие в конкурсе, пройдет парадом по Синей дорожке 6 мая перед зданием MAAT. Jorge Gabriel и Tânia Ribas de Oliveira будут вести эфир из студии в Евродеревне на Terreiro do Paço, где к ним придут ряд комментаторов и гостей. Catarina Camacho, в прямом эфире из MAAT, покажет все происходящее на церемонии. В прямом эфире из Евродеревни Sónia Araújo, Jorge Gabriel, Tânia Ribas de Oliveira и Herman José расскажут о комплексной миссии подготовки и раскроют многие сюрпризы о шоу. Репортерами с других площадок будут Vanessa Oliveira, Joana Teles и Rita Belinha. Vanessa Oliveira также будет рассказывать "Свежие новости Евровидения" со специальными репортажами до 3 мая. В день, когда мы узнаем победителя Евровидения 2018 телеканал RTP будет вести специальный эфир с 10:00 до 19:00, где можно будет увидеть последнюю подготовку к шоу, а также вновь пережить лучшие моменты последних дней. Сюрпризы гарантированы в компании специальных гостей. Новостные выпуски RTP также покинут студию и присоединятся к этому мероприятию. Jornal da Tarde и Telejornal выйдут в прямой эфир с конкурсной площадки в Parque das Nações. Вечером, после завершения эфира финала на RTP 1 узнайте все что осталось за кадром в "Закулисьи Финала". В программе примут участие специальные гости. В дни полуфиналов, Inês Lopes Gonçalves в прямом эфире с Terreiro do Paço проведет два специальных выпуска "5 para a Meia-Noite". Вы увидите первые эмоции финалистов конкурса. На протяжении всей недели, RTP 1 будет транслировать ряд концертов в Евродеревне, в частности трибьюты Simone de Oliveira от Nuno Feist, и Doce от Moullinex, а также концерты Waldemar Bastos и Capicua. Клаудиа Пашкуал и Изаура поговорили с ESCKAZ о своей подготовке к Евровидению в Лиссабоне. Они обе счастливы представить свою страну на конкурс. Клаудиа говорит: "Я очень рада и с большим энтузиазмом отношусь к этой возможности и фазе в моей жизни", а Изаура добавляет, что она "по-настоящему гордится тем, что участвует в этом огромном праздновании музыки". На Евровидении они выступят с композицией "O Jardim", которая посвящена всем тем, кого нет больше с нами в этом мире. Она была написана Изаурой в честь своей бабушки, которая скончалась год тому назад. "Для меня музыка несет большой терапевтический эффект, и сочинение песни было процессом исцеления. Надеюсь, что и слушатели также смогут исцелить свои раны и побыть вместе с теми, кого они потеряли, пусть даже всего на 3 минуты", говорит композитор. Певицы заявляют, что их главной целью является дать прекрасное выступление, которым они могли бы гордиться, а самым сложным в процессе подготовки является пребывание в стороне от семьи и друзей. "Все остальное - адреналин и хорошие вызовы". Исполнительницы упоминают, что они уже слышали песни других стран Евровидения. Клаудиа говорит: "Евровидение привносит несколько музыкальных стилей, и именно эту его концепцию я очень люблю", а Изаура упоминает, что ее личным фаворитом является Чехия. Как мы уже писали раньше, португальский посткард был снята на Navio-Escola Sagres - корабле, где проходит обучение военно-морского флота страны, и который является одним из самых важных символов Португалии. В настоящее время артисты работают над видеоклипом на свою песню. Единственны промо-выездом за рубеж, в котором они будут принимать участие, - это их выступление на мадридском мероприятии в эти выходные. Как Клаудиа, так и Изаура говорят, что они работают над новыми песнями - новый сингл Клаудии выйдет в свет в ближайшее время, а дебютный альбом Изауры "Human" будет выпущен 8 июня. "Это альбом, разделенный на две части, первая из которых посвящена управлению временем и ожиданиями, а другая - моей бабушке. У меня была идея создать быстротемповый и радостный альбом и когда я это не ожидала, моя бабушка скоропостижно скончалась. Поскольку музыка похожа на дневник, я не могла игнорировать то, что я чувствовала, и начала часть B в этой новой реальности. Он называется "Human" из-за этого, потому что нужно сделать все возможное, что доступно вам в сложившейся ситуации", объясняет она. "Мы бы хотели поблагодарить вас всех за любовь и позитивную энергию, что вы даете нам! Увидимся в мае! Целуем!" С полным текстом этого интервью вы можете познакомиться на нашей странице Facebook. Остров Мадейра был выбран местом съемок посткардов представителя Германии Михаэля Шульте и конкурсанток от Сан-Марино Джессики и Дженифер Бренинг. Райан О'Шонесси, представляющий Ирландию, также снял свою открытку на острове Порту Санту на архипелаге Мадейро. В рамках съемки своего посткарда Михаэль Шульте побывал в ряде культовых точек острова, таких как Лагуна 25 фонтанов, пляж Сейшал, и Ашада ду Санту-Антан, где прошли съемки некоторых моментов, которые можно будет увидеть в клипе. Во время пребывания на острове, певец также получил возможность заняться парапланеризмом. Дуэт Джессики Мускат и Дженифер Бренинг также снял посткард на острове Мадейра, известном, как жемчужина атлантики. Местом съемки их видео стал город Фуншал, где исполнительницы получили возможность попробовать катание на плетеных санях тобогган, одну из забав местных жителей. На острове Порту Санту также прошли съемки открытки представителя Ирландии Райана О'Шонесси. Помимо того, что он побывал на пляжах острова, известных их хорошим песком и спокойными водами, артист также получил возможность понырять в Атлантический океан. В свой день рождения, а равно как и день первого публичного выступления с конкурсной песней "I Won't Break" на Московской пре-пати Евровидения, представительница России на конкурсе Юлия Самойлова пообщалась с сайтом ESCKAZ.com. "Я очень переживаю за номер, за выступление", делится Юлия, уверенно добавляя , что все время сейчас она отдает подготовке: "И все, что зависит от меня, я сделаю". Свою песню "I Won't Break" исполнительница может охарактеризовать как "сильную песню "со стержнем", а ее посыл - "идите, куда зовет вас сердце, невзирая ни на что". Юлия рассказывает, что над ней работали те же авторы, что и над прошлогодней ("Flame Is Burning") – Леонид Гуткин, Нетта Нимроди и Ари Бурштейн. "Это интернациональная команда, у нее уже накоплен серьезный евровизионный опыт. Песня была мне предложена и сразу пришлась по душе". А вот на вопрос о том, появится ли у песни русская версия - Юлия решительно отвечает отрицательно: "Песня изначально писалась на английском и переносить ее на русский не планируется". Сама Юлия тоже подавала две песни собственного авторства на рассмотрение команды Первого канала - и, несмотря на то, что они не прозвучат на конкурсе - судьба у них все равно будет прекрасной, они войдут в дебютный альбом исполнительницы, который готовится к выпуску в конце мая-начале июня этого года. Юля пока не хочет говорить что-либо о своем конкурсном номере для Евровидения, кроме того, что он будет "технически сложным". Ее собственная цель на конкурсе - "Порадовать всех своим пением, получить удовольствие от выступления, подарить людям радость". Самое сложное для нее в подготовке: "Справиться с волнением. Ведь не все зависит от меня, а хочется, чтобы все было идеально". Представительница России уже послушала многие песни, представляющие другие страны на конкурсе. "Очень понравилась Бельгия - необыкновенной красоты видео и необычная песня. Нравится и всеобщий фаворит - участница из Израиля. Очень позитивная". Юлия не новичок в конкурсах и фестивалях. "Мне нравится волнение, которое охватывает перед важным испытанием. Нравится состояние, когда ты максимально концентрируешься на стоящей перед тобой задаче и выкладываешься полностью для ее решения. Даже больше, чем на 100%. Конкурсы нужны и важны для любого человека", рассказывает певица. Певица только что вернулась из Португалии, где прошли съемки ее посткарда. "Поездка замечательная, место волшебное, люди чудесные. Океан, который я до того момента ни разу не видела - это нечто! Открытку снимали в лиссабонском Океанариуме, мне кажется, будет смотреться очень красиво", рассказывает она. "Друзья, всем успехов и яркой самореализации! Мечтайте и ваша мечта сбудется – я точно это знаю!" Мы благодарим исполнительницу за интервью, поздравляем с днем рождения и желаем удачи в подготовке к конкурсу. ESCKAZ посетил вечеринку London Eurovision. Подробнее на странице промо-туров. Гордая Янна Терзи будет представлять Грецию в этом году на Евровидении с завораживающей песней Oniro Mou. Не смотря на то, что усиленно продолжается подготовка к поездке в Лиссабон, Янна все же смогла уделить немного внимания ESCKAZ, чтобы обсудить с нами ее номер для конкурса и свои источники вдохновения. Чувства Янны Терзи от предстоящей роли участницы Евровидени в мае можно описать двумя словами – гордость и восторг. Она почувствовала вдохновение, столкнувшись с реальной перспективой представлять Грецию в Лиссабоне. "Я чувствую гордость. Видеть мое имя и мое лицо наряду с флагом (страны) – это многого стоит. Не думаю, что я еще полностью осознала это – возможно, прочувствую сполна, когда окажусь в Лиссабоне." Что касательно чувств относительно предстоящего участия в конкурсе, певица ссылается на слова своей матери. "Это самая большая сцена, на которой мне предстоит побывать. Уверена, это будет потрясающе и действительно захватывающе! Моя мама говорила мне "помни, что когда ты была в Америке и пыталась пробиться в индустрию музыки, ты позвонила мне и спросила - когда же я буду петь на огромной сцене как все суперзвезды здесь? – ну вот, это происходит сейчас". Моя мама была права! Это происходит сейчас! История выбранной песни показывает, что способность и желание Янны выступать на сцене Евровидения настолько же сильно, насколько было у предыдущих представителей страны. "Бóльшую часть песен мы писали на английском, чтобы предложить их другим артистам или просто для мненя самой. Но потом мы узнали, что в этом году Грецию должна представлять песня на греческом. Поэтому написали новую песню полностью с нуля. Oniro Mou начала принимать определенную форму и мы осознали, что она особенная, и именно ее мы должны выбрать". И так они и сделали. Песня для Лиссабона была выбрана внутренним отбором, а сама же песня в данном случае приобрела более остро патриотический подтекст. "Это воображаемый диалог между Грецией и греками, момент искренности между Страной и ее гражданами, очень эмоциональный", пояснила Янна. Атмосферный, артистический видео-клип тесно переплетается с историей песни. "В этом видео я олицетворяю Грецию, а актер – греческий народ. Клип был снят в полтора часах езды от Афин, в горах", продолжила она. "Он (актер) метается по пустынной, заброшенной горе, бедный и искалеченный, ищет свои корни снова (меня), откуда он пришел, чтобы найти свою силу, помнить, кто он есть на самом деле. Он чувствует меня у себя под ногами, начинает копать. А я жду его, пока он найдет меня и вернет на свет снова, чтобы мы могли снова воссоединиться и найти общий путь. Это метафора, конечно; это показывает, что греки и Греция не всегда действуют как единое целое, но когда наступают сложные времена – мы защищаем и поддерживаем друг друга". Но на вопрос, как же все-таки визуальная составляющая видео-клипа и смысл песни будут переданы на сцене Евровидения, Янна не дает определенного ответа. "Вы всё увидите сами! ", смешливо ответила певица. Однако, она с радотью поделилась с нами тем, что она с нетерпением ждет в рамках предстоящего Евровидения. "Я хочу прочувствовать это сполна! Встречаться с людьми с таким же рвением и виденьем. Спеть свою песню, которую я написала вместе со своими друзьями, перед миллионами – одну из лучших песен, которую я когда-либо создавала", с энтузиазмом добавила она. Что же касательно Лиссабона, "Мне очень нравится (португальский) язык, особенно в песнях. Он очень красив. Я надеюсь встретить множество артистов оттуда (с Португалии) и, возможно, в дальнейшем поработать с ними". Когда разговор переходит на работу над будущей музыкой и, возможно, новый альбом, ведь предыдущий, Ase me na taxidepso вышел уже в 2008 году, Янна отвечает, что пока это не на горизонте. "Я еще не дошла до нужной точки в своем музыкальном пути. Я не хотела бы петь типичную фольклорную греческую музыку. Я пишу сейчас песни, я хочу пойти по тому пути, который я проложила с Oniro Mou. Посмотрим, что получится дальше". Если оценивать ее будущую музыку по Oniro Mou, - тогда это отлично! Особенно, учитывая тот факт, что основное влияние на формирование ее как музыканта оказали Уитни Хьюстон, Мэрайя Кэри, Майкл Джексон и победительница Евровидения 1988 Селин Дион, ставшая известной на весь мир, - Янна вполне может стать тем человеком, за карьерой которого станет нужным наблюдать и в дальнейшем. "Я была одержима ними, когда была маленькой. Они сформировали меня как артиста, которым я являюсь сегодня. Но под этим я не подразумеваю, что пою как они – я имею ввиду, что вдохновляюсь ими как музыкальными легендами. Майкл - мой номер один. Знаю, звучит как клише, но это правда." К сожалению для фанов Евровидения, Янна не будет участвовать в ежегодно растущем пред-Евровидийном графике вечеринок. Единственное, на что она сейчас делает акцент – как ее выступление будет выглядеть на Большом Вечере. "Не думаю, что я буду делать промо-тур. Эта песня очень особенная для меня, я хочу представить ее в правильном ключе. Меня приглашали на многие вечеринки и я безмерно благодарна всем тем, кто вспомнил обо мне"
Несмотря на отсутствие певицы в календаре фан-событий, месседж Янны для читателей ESCKAZ и для всех фанатов Евровидения является своеобразной благодарностью и признательностью. "Я не могу выразить словами, насколько для нас важна ваша поддержка. Евровидение – это безумие, и нам необходима вся возможная в мире поддержка. Я глубоко уважаю фанатов Евровидения, они самые преданные своему делу, черт побери! Спасибо вам огромное за всё то, что вы делаете каждый год. Вы навсегда в моем сердце." Мы уверены, что ожидание мая оправдает себя, и выступление Янны Терзи навегда оставит след в сердцах фанатов Евровидения. С полным текстом интервью вы можете познакомиться на нашей странице Facebook. Порядок выступлений был определен продюсерами конкурса из телеканала-организатора RTP, и утвержден супервайзором конкурса Йоном Олой Сандом и председателем организационной группы Франком Дитером Фрайлингом. Напомним, что с 2013 года продюсеры принимают решение о порядке выступлений в шоу, чтобы создать более захватывающее телевизионное зрелище и дать каждой песне возможность выделиться. Словенские надежды на Евровидении этого года возложены на плечи Леи Сирк, и ее невероятно симпатичного, легко запоминающегося хита Hvala, ne! Леа пообщалась с ESCKAZ и обсудила свою заявку, а также все планы подготовки к конкурсу в Лиссабоне. "Я действительно не ожидала победить", признается Лея, все еще взволнованная триумфом ее песни на EMA, словенском национальном отборе, в конце февраля. "Это было моим четвертым участием в конкурсе, так что победа стала для меня прекрасным сюрпризом. Hvala, Ne! была фактически написана для моего предстоящего альбома и был представлена на EMA только с целью показать эту песню словенской публике, так что все вышло действительно неожиданно". Даже когда на нее посыпались голоса от всевозможных жюри, Леа продолжала полагать, что не победит. "Я был гораздо более уверена и готова НЕ победить". И все-таки она победила, и теперь отправится в Лиссабон, где представит Hvala, Ne! во втором полуфинале 10 мая. Сейчас она сосредоточена только на двух вещах - насладиться своим временем в Лиссабоне, насколько она сможет, и изучить португальский язык. "Я очень рада возможности изучения языка, и я хочу сделать все, что в моих силах", - говорит она. Ее первой встречей с португальским языком стала подготовка к впечатляющему образу прошлогоднего победителя Сальвадора Собрала в рамках телевизионного шоу "Znan obraz ima svoj glas" (аналог российского "Один в один"). Потому, неудивительно, что, когда разговор заходит о прошлых песнях Португалии на Евровидении то она сразу же вспоминает "Amar pelos dois", которую называет своей любимой. Что касается конкурса в этом году, то Лея признается, что еще не знакома со многими другими претендентами на главный приз. "У меня не было времени послушать их всех, но я встречу их лично на предварительных вечеринках, и с нетерпением жду этого". Лея больше всего находится в ожидании "это большой сцены, и огромного количества людей, которые увидят мое выступление". На самом деле, c этой "большой сценой" она знакома уже лучше, чем большая часть других артистов, возможно даже включая самого Сальвадора, ведь она уже дважды выступала на Евровидении в прошлом. Лея исполняла бэк-вокал для Тинкары Ковач и МануЭллы в 2014 и 2016 годах соответственно, но на этот раз она выйдет на сцену как сольный исполнитель. "Это здорово [стать главной исполнительницей на этот раз]", - говорит она с энтузиазмом. "Я замечательно провела время как в Стокгольме, так и в Копенгагене. Я многому научилась, и у меня была возможность увидеть, что входит в подготовку к такому большому событию. У меня также была возможность встретиться со многими продюсерами, музыкантами и очень милыми людьми, что значило для меня очень многое - но теперь, пришло мое время, и я буду наслаждаться им, и отправлюсь туда уже не находясь под давлением". На отсутствие давления также повлияет то, что никакого радикального пересмотра сценического номера по сравнению с EMA не произойдет. "Мы собираемся сделать несколько небольших изменений, может быть какую-то тонкую настройку, но концепция, которую мы представили в национальном финале, будет по существу той же самой - мы оставим номер искренним и спонтанным" объясняет она. "Танцоры по-прежнему будут со мной, конечно, так же, как и моя бэк-вокалистка за сценой. В общем-то все. Я хочу, чтобы все было просто"
Сама песня "о том, когда я нахожусь в подобном поддельном, виртуальном мире, в нем, с моей точки зрения, есть вещи, которым я могу сказать "нет", - заключает она. Похоже, что любым предложениям к изменению номера на песню, Лея также будет отвечать твердое "нет", в соответствии с этой философией. Окончательный посыл Леи фанатам также фокусируется на том, чтобы чувствовать себя комфортно внутри себя и быть в состоянии сказать "нет", когда это необходимо, но не без уважительного отношения к другим. "Пожалуйста, откройте ваши сердца, почувствуйте музыку и не судите музыкантов и исполнителей - просто наслаждайтесь тем, что они создали. И что важно... в жизни, не стесняйтесь говорить "НЕТ", когда вам что-то не нравится или если вы не хотите делать то, что вам не совсем комфортно"
С другой стороны, Леа говорит громкое "да" другим обязательствам - она ​​появится на предконкурсных вечеринках в Испании, Израиле и Нидерландах. Что касается того, что ждет ее после Евровидения, то планы звучат аналогично утвердительно. "Я завершу свой второй альбом и выступлю с несколькими концертами". С полной версией интервью вы можете познакомиться на странице в Facebook. Спокойный и с первых слов располагающий к себе оптимист Йонас Расмуссен, как видится, наслаждается каждым мгновением подготовки к конкурсу: "Я одновременно взволнован, возбужден и потрясен тем, что я войду в историю Евровидения. Я жду не дождусь наших выступлений в Лондоне, Тел Авиве и Амстердаме и очень рад предстоящим встречам с фанатами!" Его студенты в культурной школе Виборга поддерживают своего доцента в это непростое время: "Многие писали мне, что гордятся мной и очень рады моей победе. А когда мы увидились после, им было очень интересно узнать о моем опыте." Единственная ложка дегдя для Расмуссена – это вынужденные разлуки с семьей: "Но мы все знаем, что это такая возможность бывает раз в жизни, это помогает нам быть переность мои отъезды. Хотя, конечно, прощаться очень сложно, если твоя пятилетняя дочь плачет, когда ты стоишь на пороге и больше всего на свете тебе хочется вернуться и обнять ее.". Расмуссен точно знает, чего он хочет достичь на Евровидении: "Сначала я хочу выйти в финал. Если это у нас получится, а все может быть, то мы сделаем все, что бы занять наивысшую позицию." Без сомнения, никто не подошел бы для исполнения конкурсной песни "Higher Ground", лучше чем похожий на викинга 33-летний датчанин: "Меня попросили прийти на прослушивание и я просто влюбился в эту песню с первой секунды. Разумеется, я согласился участвовать в кастинге и, в конце концов, прошел его! Это очень эпическая композиция, вдохновленная историей миролюбивого викинга Магнуса Эрлендссона, решающего конфликты словами, а не сражениями. Два замечательных шведских автора увлеклись легендой о том, что Магнус Эрдендссон отказался идти против врагов своего короля – так и родилась эта песня. Она о том, что до какими-нибудь поспешных действий при разногласии стоит подумать дважды. Остановиться и опомниться, выслушать аргументы противоположной стороны и протянуть руку в поиске мирного решения, вместо ко всему глухому скрещеннию оружий". Концепт выступления датского кандидата в Лиссабоне уже готов: "Мы ничего не поменяем в представленной на Евровидении версии песни. А что касается шоу – мы также вполне довольны нашим выступлением в национальном финале, так что... :) "
Расмуссен, который закончил факультет драматургии и музыки и сам участвовал в мюзиклах, хорошо знает, насколько важно запоминающееся сценическое шоу: "Я думаю, чем больше визуальная часть шоу связана с песней, ее текстом и музыкой, тем более целое, гармоничное впечатление производит все выступление. Часто успешная постановка повышает уровень самой композиции и помогает ее восприятию. Я надеюсь, так и произошло на национальном датском отборе и повторится на Евровидении." К сожалению, Расмуссен не планирует снятия клипа на конкурсную песню, зато его открытка для Евровидения уже готова. "Съемки были в Национальном дворце Мафра, в очень красивом месте на севере Лиссабона. Это место просто завораживает своим историческим духом." Что касается возможного выпуска дополнительных версий песни "Higher Ground" или последующих шагов его музыкальной карьеры, Расмуссен не очень многословен: "Мы говорили о некоторых опциях, но пока я еще ничего не могу разгласить :) "Может быть, больше деталей будут поведаны в Лондоне, Тел Авиве или Амстердаме? "Я буду очень рад встретиться с вами! Надеюсь, мы увидимся на различных пре-вечеринках и, конечно, в Лиссабоне! Обязательно подойдите, если увидите меня рядом", говорит Расмуссен и приглашает следить за его путешествием на Facebook и Instagram. С полным текстом интервью вы можете познакомиться на нашей Facebook странице. Вчера было объявлено о том, что победителем первого конкурса Afrimusic Song Contest стала представительница Свазиленда Symphony. Сегодня были опубликованы полные результаты голосования. Symphony победила с 11 баллами от публики и 9 баллами от жюри. Второй стала представительница Камеруна Ингрид Уайт, а третьей - конкурсантка из Зимбабве Нина Уотсон. Symphony - урбан-соул исполнительница, родившаяся и выросшая в Мбабане, Свазиленд; где начиналась и росла ее любовь к музыке. Ее звук - нео-соул, но ее страсть - это госпел. Основной целью Symphony является расширение прав, поощрение и развитие других людей, особенно молодых женщин. Она также стремится создать благотворительный фонд под названием Symphony Care Foundation. Послание Symphony выражает в своей музыке - это смелость, расширение прав и возможностей и напоминание людям о том, кто они есть, она говорит, что это величайший дар, который когда-либо мог быть дан человеку. Symphony - это звуковая дорожка ее убеждений и веры, и поэтому она пишет свои собственные песни. Несмотря на то, что она черпает вдохновение у международных артистов, она придерживается оригинального звучания, и именно поэтому некоторые из ее песен исполняются на родном языке Свази. Symphony верит в важность подчеркивания своего собственного языка и африканского наследия. 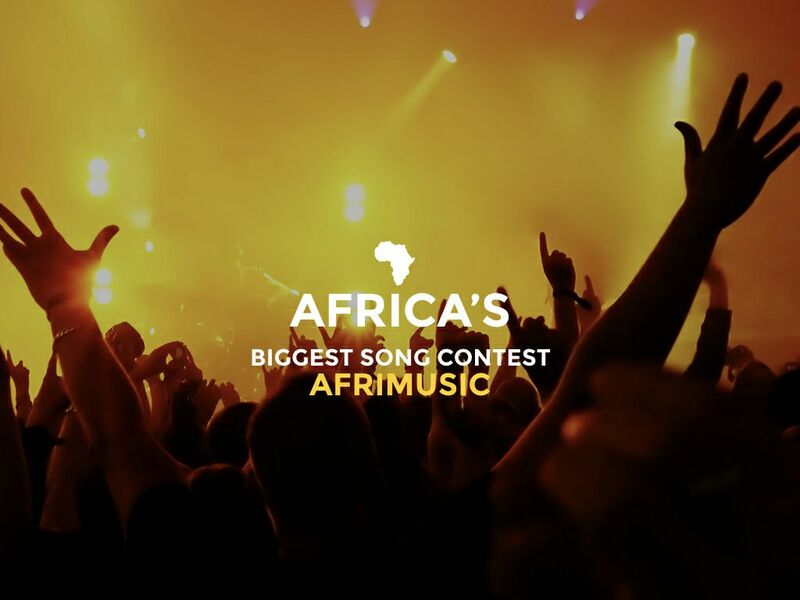 Дополнительная информация об AfriMusic Song Contest доступна на www.afrimusicsongcontest.com. Наша следующая гостья - представительница Азербайджана AISEL. Она гордится тем, что будет представлять свою страну на конкурсе: "Для меня большая честь! Я рада, что мне предоставили возможность представлять свою страну, Азербайджан, на Евровидении. Я восхищена, иногда нервничаю, испытываю все те чувства, которые испытывает каждый, когда участвует в мероприятиях такого рода.". Певица вспоминает свои первые эмоции после получения предложения от азербайджанского вещателя: "Вначале я чувствовала себя немного напряженной, потому что весь этот процесс мне неизвестен, и поэтому я не знала, чего ожидать и как справиться со всем этим. Я согласилась, потому что, как я уже сказала, для меня большая честь представлять свою страну на таком большом музыкальном конкурсе.". Свою песню "X My Heart" Айсель кратко описывает так: "Ну, я бы сказала, что... если бы это было время года, то это было бы лето, если бы это был день недели, то это была бы пятница, и если бы это был цвет, то это был бы белый... все, что вызывает улыбку на лице большинства людей.". Певица говорит, что песня была создана специально для нее греческой командой: "Я знаю, что она была написана специально для меня и как музыкант чувствовала, что она подходит моему голосу. Продакшн и стиль очень современны, и это создает поднимающее настроение чувство, которое мне нравится больше всего. Когда я впервые встретилась с Димитрисом Контопулосом, я сказала ему, что хотела бы испытать себя в другом стиле, так как я считаю, что нет хороших жанров музыки, есть хорошие песни.". О посыле, вложенном в песню, Айсель говорит так: "Главный посыл – верить в себя и свою внутреннюю силу. Иногда сила воли может быть сильнее, чем пушечные ядра... Я испытала это во многих аспектах моей жизни, и я уверена, что у многих читателей есть, по какая-то история, которой они могут поделиться, не так ли?". Пару недель назад певица создала фортепианный ремейк на конкурсную песню специально для греческого музыкально-модного шоу "MadWalk". Очень скоро эта версия будет доступна на YouTube. Других версий песни пока не планируется и Aisel сосредоточится на основной версии, которая будет исполнена в Лиссабоне. Айсель поделилась информацией о подготовке сценического номера: "Я не хочу давать никаких намеков, потому что считаю, что некоторые вещи нужно смотреть, а не описывать. Единственное, что я хотела бы сказать, это то, что перед началом работы с Фокасом Евангелиносом, мы посмотрели на YouTube все номера, которые он ставил на Евровидении: Дима Билан, Дмитрий Колдун, Ани Лорак, Сергей Лазарев, Фарид Мамедов и других артистов. Я сразу подумала: "Будет ли мое выступление таким же хорошим, как все эти?". Сегодня я вижу, что будет именно так, и это заставляет меня чувствовать себя увереннее и счастливее.". Как уже сообщалось, на сцене также выступят 4 бэк-вокалиста-танцора: "Конечно, в песне необходимы бэк-вокалисты, и мы, уважая Португалию, приняли решение поработать в нашем номере с 4 певцами из принимающей страны. Это наш способ сказать "спасибо" Португалии за то, что она принимает нас." Певица рассказала о своей главной цели на конкурсе: "Моя цель – наилучшим образом представить свою страну. Мы очень много работали в течение нескольких месяцев ради этих трех минут. Часы в студии, репетиции, путешествия, так что я хочу, чтобы все было идеально, и я верю, что так и будет.". Самой сложной частью в процессе подготовки Айсель считает репетиции: "Самыми сложными являются бесчисленные часы репетиций. С другой стороны я понимаю, что это абсолютно необходимо и когда я вижу результаты напряженной работы я счастлива и восхищена. От всего процесса вы получаете шанс выйти за собственные рамки и утвердиться. Я нахожу это восхитетельным.". Айсель уже слышала много песен с Евровидения этого года. Ей очень нравятся песни Греции, Беларуси, Швеции и других стран, при этом она подчеркивает, что в этом году много хороших песен, и трудно выделить фаворитов. Также певица рассказала нам об открытке, которую недавно снимала в Португалии: "Мне посчастливилось побывать за пределами Лиссабона в красивом замке с потрясающим видом. Я был очень впечатлена, и я не ожидала, что вид будет таким прекрасным! Основным элементом моей открытки была воздушный шар... мы использовали этот воздушный шар, чтобы полетать над красивой местностью и насладиться красотой этого места с совершенно другой точки. Я считаю, что это был очень вдохновляющий опыт... так же, как моя песня!". Перед началом Евровидения в Лиссабоне Айсель посетит Израиль, Москву и некоторые другие страны, которые пока не держатся в секрете. Певица уже побывала в Греции. В основном промо-мероприятия будут ориентированы на страны, которые примут участие и проголосуют в первом полуфинале. Айсель пока не планирует выпускать новые альбомы или синглы, сейчас вся ее энергия направлена на подготовку к Евровидению в Лиссабоне. С полным текстом интервью вы можете познакомиться на нашей странице в Facebook. Урбан-соул певица из Свазиленда Symphony (Занеле Келе) стала победительницей 1го выпуска международного конкурса Afrimusic Song Contest c песней "Sengikhona" (I'm Here). Нигерия - Jesu Me Yo We - Amawhe Earl J.
Symphony выступала на одной сцене с такими популярными артистами, как Khaya Mthethwa, и южно-африканским госпел-хором Joyous Celebration в рамках его турне в Свазиленде. Она также сотрудничала с госпел рэппером Switch, приняв участие в ряде треков на его альбоме Walking In Faith. В 2015 году она вошла в число пяти финалистов конкурса талантов T55. В прошлом году певица стала победительницей фестиваля MTN Bushfire и представила свой дебютный сингл "Sengikhona". В начале марта 2018 года певица выпустила свой дебютный альбом, также названный "Sengikhona". В альбом вошли 12 композиций. Вся музыка Symphony несет посыл расширения прав и возможностей, воодушевления, и самопознания. Интересно, что певица сотрудничает с известным свазилендским исполнителем и продюсером King Siso (Сибусисо Нцхангасе), который является бойфрендом многократной участницы конкурса Евровидение Валентины Монетты. На прошлой неделе певица из Свазиленда также стала обладательницей дополнительной премии в рамках Afrimusic: Приза за лучший Английский текст песни. Приз был вручен главным редактором крупнейшего сайта о Евровидении ESCKAZ.com, одного из медиа-партнеров мероприятия, Андреем Михеевым. Говоря о победном треке "Sengikhona", Михеев отметил, что его текст несет посыл о решимости и знаке того, что каждый получает свои шансы в жизни. "Английская часть текста песни Свазиленда действительно выделилась для меня среди большинства других участвующих песен, либо являющихся балладами о любви, либо несущих похожий посыл пан-африканизма. Важно, чтобы этот посыл о том, что нужно использовать свои сильные стороны и проявлять себя, был услышан всеми слушателями и поклонниками конкурса", - сказал он. 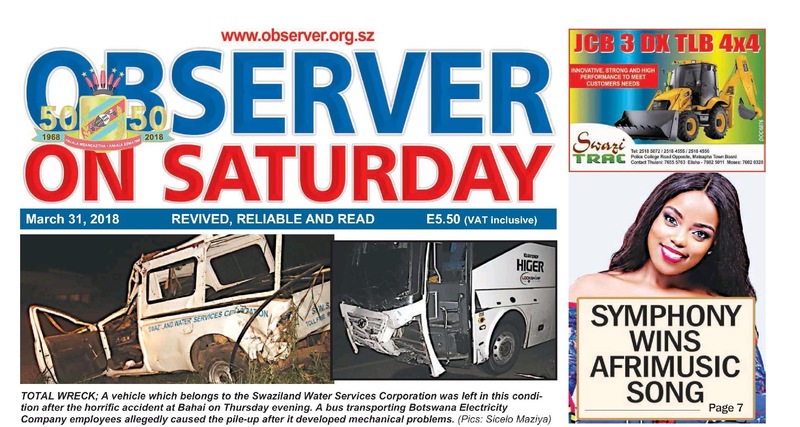 В интервью Swazi Observer, Symphony так прокомментировала получение приза за лучший Английский текст: "Я на седьмом небе от счастья. Я в восторге. Это стало для меня неожиданностью, я не знала, как это происходит. Я сосредоточена на главном призе, так что победа в конкурсе на лучший текст стала для меня прекрасным сюрпризом. "Sengikhona" - это моя первая песня, это также заглавный трек моего нового альбома, и это так много значит для меня. Когда я только начинала писать песни - то сказала себе, что хочу писать песни со смыслом. Легко копировать других, повторять то же, что и они потому что это продается и популярно - но для меня было важно оставаться верной тому, кем я на самом деле являюсь. Afrimusic удивили меня, они оценили не только мелодию и жанр. Быть признанной и оцененной за пределами страны в моем самом первом проекте, это отличный старт моего путешествия. Надеюсь, что нация поддержит меня в дальнейшем голосовании, ведь я участвую в конкурсе для того, чтобы прославить свою страну". Обладателем приза за лучший Французский текст песни стал представитель Чада Stev'N-T. Результаты голосования за этот приз доступны на Eurovision-FR.net - французском медиа-партнере проекта. Планируется, что победительница Afrimusic Symphony примет участие в ряде мероприятий в рамках Евронедели в Лиссабоне в мае. В качестве специального приза, главный редактор сайта ESCCovers (еще одного медиа-партнера проекта) Рой ван дер Мерве возьмет на себя затраты по записи кавер-версии любой песни Евровидения по выбору Symphony ею в дуэте с другим исполнителем. "ESCCovers фокусируется на кавер-версиях песен Евровидения на различных языках, мы стараемся продвигать и показывать, что песни Евровидения могут становиться хитами в других странах и на других языках". Выбор партнера для дуэта будет сделан Symphony, King Siso и Роем из числа заявок, полученных от любого исполнителя из любой страны мира, который хотел бы записать дуэт с Symphony. Заинтересованные исполнители могут присылать заявки на roy@esccovers.com. Наш следующий гость - Беньямин Ингроссо из Швеции. Певец очень рад представлять свою страну на главной музыкальной арене Европы: "Это просто потрясающее чувство! Представлять свою страну на таком большом всемирно известном конкурсе очень много для меня значит!". Беньямин описывает свою песню так: "ЗАТАНЦУЮ ТЕБЯ ДО УПАДУ!! Ха-ха-ха! Но на самом деле это современная песня, которая, надеюсь, заставит всех танцевать!". Он также поделился с нами историей создания своей заявки: "Я поехал в Лос-Анджелес, чтобы написать какую-нибудь новую музыку после прошлогоднего Мелодифестивалена, это было сразу после расставания с моей девушкой. Я написал эту песню, потому что хотела танцевать с ней и продолжать жить вместе, у меня было разбито сердце. И сегодня мы снова вместе и счастливы как никогда раньше! Кстати, ей тоже нравится эта песня, я думаю это хорошо". Исполнитель надеется передать через свое сценическое выступление следующее: "Я хочу, чтобы все, кто видит и слышит эту песню, чувствовали ту же самую приятную атмосферу, которую я чувствую каждый раз, когда слышу ее. Я хочу, чтобы люди соотнесли себя с текстом, и почувствовали эмоции желания двигаться вперед, от сложного периода в жизни - вперед к счастью" Беньямин не планирует выпускать версии песни на других языках, но обещает ремиксы на нее. Также в ближайшее время выйдет удлиненная версия песни. На вопрос об изменении сценического номера для Лиссабона певец ответил: "Со мной будет моя потрясающая команда с менеджментом, стилистом и хореографом со шведского отбора. И, возможно, будут некоторые отличия от Мелодифестивалена.". Поскольку припев песни состоит из семи различных частей, Беньямин обязательно прибегнет к помощи бэк-вокалистов, но не называет их по имени. Беньямин рассказывает о своей главной цели на конкурсе: "Я сделаю все, что в моих силах, буду получать удовольствие и отдам все, чтобы показать всем, как я люблю выступать и развлекаться. Главная цель это, конечно, проход в финал!". Он считает, что самый сложный момент в процессе подготовки к соревнованиям это: "Оставаться сосредоточенным и наслаждаться этим опытом! Я слышал, что очень интенсивно проходят встречи с фанатами и прессой, и я очень надеюсь, что у меня будет время, чтобы встретиться со всеми, кто любит мою музыку, чтобы сказать, насколько я всем благодарен.". Беньямин слушал многие конкурсные песни этого года. На данный момент он выделяет Испанию. Скоро Беньямин отправится в Лиссабон снимать открытку. Он пока не раскрывает, что будет делать в ней, но намекает, что это будет связано с едой. Певец планирует принять участие в промо-вечеринках в Лондоне, Амстердаме и, возможно, Мадриде. Ирландия лидирует по количеству побед на конкурсе, но Швеции осталось лишь немного, чтобы поравняться с нею. На вопрос, оказывает ли эта задача, поставленная Кристером Бьоркманом дополнительное давление, Беньямин отвечает: "Ха-ха-ха. Я просто надеюсь, что не подведу людей! Я хочу доставить удовольствие тем, кто верит в меня, все остальное покажет время. Конечно, я хочу победить – но в этом году так много отличных песен, что, как мне кажется, их будет трудно обойти.". В прошлом году Беньямин уже участвовал в национальном отборе, он вспоминает: "Я думаю, что Мелодифестивален и Евровидение – это отличная возможность показать новую музыку и творческие выступления, когда мне предложили принять участие еще один раз, я подумал, что у меня есть отличная песня, которой я хочу поделиться. И, конечно, ты всегда думаешь: "Что, если люди подумают, что это лучшее?!?!?! Что если я выиграю??!?" И это правда была моя очередь!". На вопрос, если бы он не победил, то кого бы он хотел видеть под флагом Швеции в Лиссабоне, он отвечает: "Моего брата Феликса! Мне нравится его песня! Я также думаю, что Мариетт и Йон показали отличные номера! Это была жесткая конкуренция!". Беньямин также сказал нам, что он готовит альбом и с нетерпением ждет поездки в Лиссабон, и готов к зажечь на Скандинавской вечеринке. "Просто хочу сказать всем как я благодарен за это! Я так рад, что людям нравится моя музыка, поэтому я могу продолжать делать ее еще долгое время! СПАСИБО!" С полной версией интервью вы можете познакомиться на нашей странице Facebook. Певица Руслана ознакомилась с ходом подготовки Португалии к проведению конкурса Евровидение 2018. "Евровидение в Португалии состоится в фантастической Altice Arena, рассчитанной на 20 000 зрителей, с красивой сценой и новыми эффектами. Мы с Павлом Грицаком (Euromedia) и послом Украины в Португалии госпожа Инной Огнивец весь день в Лиссабоне работали над организацией презентации Украины во время Евровидения. Встретились с João Nuno Nogueira - исполнительным продюсером Евровидение от Португалии, с руководителем телевидения RTP, которые транслируют Евровидение. Встретились с представителем муниципалитета Лиссабона Catarina Vaz Pinto, которая ответственная за вопросы культуры и международные связи провели много других положительных встреч! Я увидела сцену, арену, идею Евровидения. У них должно быть круто! И у нас тоже!)" Эугент Бушпепа, представитель Албании на Евровидении этого года, на этой неделе поговорил с ESCKAZ о своей песне и о том, что ждет его в ближайшие несколько месяцев. "Это отличная возможность для меня представлять Албанию в этом году, и я приложу все усилия, чтобы выполнить все хорошо, ", - скромно говорит он. Как это часто случалось в последнее время, западнобалканская нация стала первой, выбравшей свою песню для Евровидения в этом году. Именно волнительная и проникновенная песня Эугента "Mall" одержала победу на 56-м национальном песенном фестивале, а вместе с ним и дала возможность ее исполнителю выступить в Лиссабоне. Эугент так говорит о песне, название которой переводится как "Ностальгия": "Это воссоздание воспоминаний о моих близких, пересекающееся с моим внутренним звучанием". Авторская песня изначально превышала по длине четыре с половиной минуты, что означало что ее придется сократить, чтобы соответствовать критериям Евровидения. "Было сложной задачей вырезать 1 минуту 36 секунд из песни, особенно жаль - убирать большую часть текста", - говорит Эугент о процессе редактирования. "Что же касается мелодии",, добавляет он, "то мы решили сделать несколько незначительных новых штрихов в новой версии, чтобы поддерживать растущее мелодическое восприятие песни, не теряя при этом эмоции". Когда речь заходит об его предстоящем выступлении на конкурсе, Бушпепа полагает, что для него сцена будет родным пространством, но придется привыкнуть к некоторым новым элементам. "Думаю, я мог бы назвать сцену своим вторым домом, но каждое выступление отличается от других, и Евровидение не будет исключением. Я думаю, это будет твердая хоть и "неизвестная земля" для меня, которую я с нетерпением жду возможности исследовать"
Презентация номера будет довольно простой - сконцентрированной на песне. "Единственное, что я могу сказать, это то, что выступление будет очень простым, чтобы зрители смогли сосредоточиться на песне. Моя группа будет со мной на сцене, а также сопровождать меня будут две замечательные бэк-вокалистки". Эугент больше всего ждет встречи с другими артистами и возможности поделиться своей музыкой на Евровидении. Он хотел бы сосредоточиться исключительно на своем выступлении, а не на обсуждении шансов его песни. "Моя единственная цель - показать все, что в моих силах на сцене Евровидения, о чем-то еще, что может прийти бонусом к этому - мне пока не хотелось бы загадывать"
У него есть и другие ожидания, когда речь заходит о Лиссабоне - Эугент говорит, что он с нетерпением ждет знакомства с его "историей, гостеприимством и хорошей погодой". Помимо того, что он является поклонником прошлогоднего победителя, Эугент полон слов поддержки и в адрес португальской участницы этого года. О песне O Jardim Клаудии Пашкуал он отзывается как о "мягкой и красивой". Он уже подготовился к встрече с новыми знакомыми и прослушал большинство участвующих песен, определив своих фаворитов этого года. "Я мог бы упомянуть песни Бельгии, Греции, Нидерландов и Болгарии [а также Португалии], и список может быть продолжен"
В преддверии Лиссабона, Эугент будет принимать участие в промо-мероприятиях по всей Европе. "Мы планируем принять участие в некоторых вечеринках Евровидения, таких как в Лондоне, Тель-Авиве, Амстердаме и Мадриде, но это еще должно быть подтверждено точно"
"Найдите баланс между страстью и логикой и всегда используйте этот баланс, чтобы выразить себя так, как вы хотите. Не позволяйте никому судить вас или говорить вам, что вы ошибаетесь"
Вы можете прочитать полную версию интервью на нашей Facebook странице. После радиопрограммы об истории конкурса Евровидение известный португальский обозреватель, комментатор и эксперт конкурса Нуно Галопим открывает новую программу о конкурсе. "12 Pontos (mas em 3D)" будет выходить в эфир коммерческой радиостанции Antena 3 в полночь местного времени с воскресенья на понедельник. В рамках программы будут выходить интервью со специальными гостями - членами организационной команды конкурса. Во время Евронедели программа станет выходить чаще, и расскажет о всем происходящем за кулисами подготовки к конкурсу. В первой программе гостями станут Клаудиа Пашкуал и Изаура - представительницы Португалии этого года. Элина Нечаева, которая представляет на конкурсе Эстонию с песней La Forza, считается одним из фаворитов на победу в Лиссабоне. На этой неделе она поговорила с ESCKAZ о своем предстоящем выступлении на конкурсе и о своей любви к опере и классической музыке. Элина с нетерпением ждет выступления на Евровидении в мае. "Я очень рада! ", - говорит она с энтузиазмом. "Рада тому, что смогу спеть свою песню почти для 200 миллионов человек - это сумасшествие! Это самая большая аудитория, перед которой можно петь, и я надеюсь, что сделаю все, что в моих силах, и я смогу подарить много любви огромному количеству людей". Эта любовь уже была оценена как букмекерами, так и фанатами конкурса. La Forza - по сути традиционная оперная песня, уже получила подавляющие положительные реакции от поклонников Евровидения и расположилась на вершине рынков ставок. Тем не менее, Элина не чувствует какого-то давления на себя. "Я действительно не чувствую никакого давления. Я просто хочу сделать все, что от меня зависит, я профессиональная певица, так что это просто моя работа", - объясняет она. "Это то, что я делаю каждый день, я пою, и я артист, я всегда делаю это со всей любовью и страстью. Поэтому я сделаю все возможное, и я отдам всю свою любовь своей аудитории. И я уже получаю в ответ любовь со всей Европы!" После того, как она была ведущей полуфиналов национального отбора Eesti Laul в прошлом году, на этот раз Элина решила сама выставить свою заявку. "Я подумала, что, может быть, я смогла бы привнести в шоу что-то новое, но пока не знала, что именно". Когда композиторы Михкель Маттисен и Тимо Вэндт услышали, как она пела на свадьбе своего друга, они написали песню специально для ее голоса. "Мне очень понравилась мелодия. Затем я и моя подруга Ксения написали текст, и мы отправили песню на Eesti Laul... ну, а все дальнейшее вам известно!" Элина описывает свою песню La Forza как "песню о настоящей любви, которая освещает наш путь, дает нам крылья, ведет нас к небу и дает нам реальную силу, чтобы мы могли сдвинуть даже горы. Она о всеобщей любви - любви к детям, любовь к родителям, любовь к природе... о всех этих видах любви". Месседж, который она хочет передать двоякий - чтобы мы могли плотнее объединиться как общество - вдали от заманивающих атрибутов технологии; и чтобы люди могли стать более восприимчивыми, когда речь заходит о красоте классической музыки на арене господствующей мэйнстримовой музыки - и все это с любовью в качестве центральной темы. "В нашем обществе мы должны больше говорить о настоящей любви и реальных чувствах",, утверждает она. "Нам нужно быть здесь и сейчас, а не постоянно сидеть уткнувшись в наши смартфоны, а на самом деле - здесь, соединяясь друг с другом и даря любовь. Любовь - величайшая сила из всех. Это то, о чем песня La Forza, и я надеюсь что люди получат от нее удовольствие". "Надеюсь, что то, что я исполню эту песню пробудит интерес в людях к классической музыке и вокалу, и люди откроют для себя, что опера и классическая музыка не скучны, а наоборот - действительно интересны и красивы". Что же касается информации о том, как песня будет представлена ​​на сцене Евровидения в мае, Элина решительно заявляет, что тот номер, что у них уже есть, останется в основном в его нынешней форме. "Мы ранее уже провели много работы над всеми мелкими деталями песни, и наконец добились, чтобы она стала именно такой, какой мы ее желали услышать, поэтому сама песня останется абсолютно такой же", объясняет она. "Я думаю, что и номер с Eesti Laul - это именно, как я хочу, чтобы песня выглядела на сцене, поэтому мы собираемся сохранить его таким, каков он есть. Дома он отлично сработал, и я надеюсь, что он также сработает и в Лиссабоне", добавляет Элина. Уже созданы два танцевальных ремикса на песню, и Элина "уже думает о написании версий песни на других языках". К сожалению, из-за рабочих обязательств, Элина не сможет участвовать в каких-либо промо-мероприятиях, которые будут проходить в ближайшие несколько недель, но она уже побывала в Португалии, чтобы снять свою открытку для Евровидения. Она описывает это как "самую страшную вещь, которую я когда-либо делала в своей жизни! У меня был очень интересный разговор с самой собой: одна сторона говорила мне, что я не смогу этого сделать, а другая сторона говорила мне, что "сила" была со мной, и я смогла это сделать! Но опыт был потрясающим. Команда в Португалии была действительно прекрасной и профессиональной, и было здорово стать частью всего этого"
Планы на запись альбома пока только разрабатываются, но Элина говорит, что он мог бы принять форму "рассказа о любви с песнями, подобными La Forza". Ее месседж для читателей ESCKAZ также продолжает тему любви и ее любви к классической музыке. "Оперная и классическая музыка - это то, что приносит многое в наши сердца и души. Я надеюсь, что мое выступление повлияет в этом смысле на людей. Спасибо за вашу любовь и поддержку"
Вы можете прочитать полное интервью на нашей странице Facebook. Очередной артист, с которым пообщался ESCKAZ - представитель Черногории Ваня Радованович. "Мне очень приятно представлять Черногорию на Евровидении! Я горжусь возможностью представить свою страну", - говорит Ваня. Ваня выиграл национальный отбор Монтевизия в феврале с песней "Inje". "Inje означает иней. Это мороз, который ползет по замерзшим предметам, но в тексте моей песни он расползается по отношениям между людьми", объясняет он смысл своей песни - эмоциональной, традиционной балканской баллады. "Я хотел написать эмоциональную песню, с мощной лирикой и некоторыми традиционными черногорскими мелодиями". Ваня также стремится подчеркнуть важность того, что он будет петь на конкурсе на своем родном языке. "Для меня очень важно, чтобы песня была исполнена на черногорском, потому что текст - большая часть любой песни. Вам не нужно понимать слова или всю лирику, но вы должны быть способны почувствовать их". От одного прослушивания песни становится ясно, что эмоции и чувства преодолевают в ней границы языка. Ваня работает на черногорской эстраде уже нескольких лет. Его первым заметным достижением стало выступление на музыкальном фестивале в Будве в 2004 году, где он выиграл приз лучшему дебютанту за свою песню "Dripac". Кажется, что артистизм - в его крови. "В последний раз, когда я выступал на фестивале, это было 12 лет назад, так что прошло какое-то время, но с тех пор у меня было много концертов с моей группой, и живые выступления - самое важное занятие для меня". Когда речь заходит о Лиссабоне, Ваня говорит о том, что с нетерпением ждет возвращения в это город и с энтузиазмом ждет выхода на знаменитую сцену Евровидения. "Я действительно с нетерпением жду возможности снова посетить Лиссабон и отлично провести время с замечательными людьми. Кроме того, получить опыт выступления на сцене Евровидения и познакомиться с организацией конкурса"
Он философски размышляет о своих шансах привезти главный трофей на родину. "Я не люблю сильно возлагать надежды на что либо. Я просто стараюсь плыть по течению! ", он заявляет в непринужденной манере. "Я с нетерпением жду великой погоды в мае и многих прекрасных людей, которые знают, как наслаждаться жизнью". Видеоклип на песню, похожий на трехминутный кинофильм, был вдохновлено знаменитой живописью Рене Магритта "Влюбленные", рассказывает нам Ваня. "Режиссером клипа стал Гойко Беркулян, мне очень понравилось, как это вышло - очень артистично и осмысленно - клип усиливает песню во всех смыслах, и они идут рука об руку вместе. Как идеальные влюбленные". Ваня старается сохранить в тайне любую информацию о сценической постановке своего номера для Лиссабона, говоря лишь "Это будет так же артистично, как песня и видеоклип. Просто и красиво". Что касается того, кто может присоединиться к нему на сцене в мае, он отвечает с игривым блеском в глазах, "Позвольте мне вас удивить". Он все еще знакомится с другими участвующими песнями этого года, но песня принимающей страны уже захватила его мысли. "Я еще не слышал их всех, но я мне очень нравится португальская песня. Есть много хороших и очень разных песен, и я рад, что музыка - самое главное в этом году". Он не только фанат португальской песни в этом году, но и позитивно отзывается о прошлогоднем победителе и известных музыкальных традициях Португалии. "Салвадор Собрал во многом изменил положение вещей для всех нас, и это действительно важно - возможно важнее всего. Мне очень нравится Фадо, особенно Амалия Родригес". Что касается прошлых черногорских артистов, то Ваня высоко оценивает многих. "У Сергея и Кнеза были хорошие песни, но мой фаворит - Who See. Рамбо Амадеус тоже был великолепен, по-своему." Ваня примет участие в предварительных промо-мероприятиях Евровидения в Лондоне, Тель-Авиве и Амстердаме. Он считает, что его команда может добавить еще несколько направлений в этот маршрут до завершения графика. Его философия, когда дело касается его шансов на успех в Евровидении, кажется, относится и к его будущим планам. "Мне не нравится планировать - я просто плыву по течению. Наверняка будет много музыки и выступлений". Месседж Вани для читателей ESCKAZ.com аналогично положителен. "Просто слушайте внимательно и наслаждайтесь музыкой и жизнью настолько, насколько вы сможете"
Следующие наши гости - IRIAO, представляющие Грузию на Евровидении 2018. Они рассказали нам, что их песня "For You" "о том моменте, когда вы забываете о своих обязанностях и заботах собственной жизни и протягиваете руку помощи другим, нуждающимся в ней. Момент, когда вы получаете чувства от других и отдаете все, что вы можете, другим. Делая это, вы замираете на секунду, получаете чрезвычайно положительные эмоции, теплоту и начинаете сильно чувствовать, как ваше сердце бьется (именно это биение сердца вы слышите во время припева в песне). В конце концов, вы понимаете, что этот момент стоит того, чтобы жить... Я думаю, что таков наш посыл в целом, а вкратце можно сказать "Не я, но Мы". Они объяснили, что песня была создана в "семейной атмосфере, как будто все участники группы были вовлечены в приготовлении некоего весьма особого блюда. Оно должно быть вкусным не только для местных жителей, но и для всего остального мира - у нас есть прекрасная возможность, чтобы весь остальной мир отпробовал его. Таким образом, мы вложили все свои усилия к этому, иногда ссорились, иногда обнимались, но, в конце концов, очень тщательно попытались выбрать правильные ингредиенты и специи, чтобы другие насладились этим и в конечном итоге получили положительные эмоции". IRIAO также рассказали нам, что у них есть несколько идей для разных альтернативных версий песни, и теперь они собираются выбрать одну из них, чтобы выпустить позднее. Они не выдали много секретов об их постановке, но сообщили, что ее режиссёром станет Заза Орашвили, и что они надеются, что зрителям Евровидения она понравится. Что же касается процесса подготовки к Евровидению, то по их мнению уже множество сложных шагов позади, они все уже испытали много бессонных ночей, но самым сложным будет само выступление на сцене Евровидения. Свою открытку они сняли в Португалии в феврале и это был действительно захватывающий опыт, так как это совпало с китайским Новым годом, и IRIAO стали частью его парада. Они также прослушали другие песни конкурса и очень рады, тому, что он будет очень разнообразным и для них своего рода вызовом. Они с нетерпением ожидают встречи с другими участниками на промо-вечеринке в Израиле в апреле, на которой они будут присутствовать. "Мы благодарны всем тем, кому нравится наша группа IRIAO и наша песня, и также принимаем во внимание мнение и тех, кому она не нравится. Наша песня для Всех Вас"
C полным текстом интервью вы можете познакомиться на нашей Facebook странице.